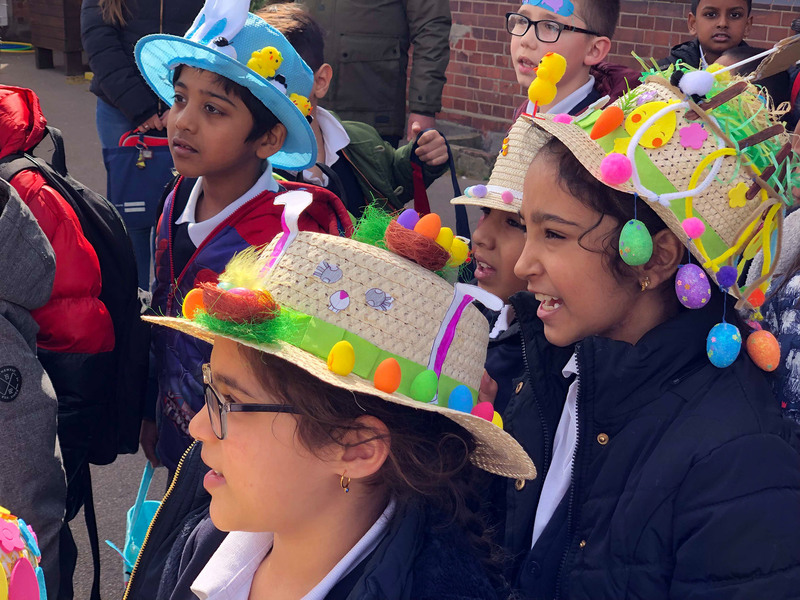 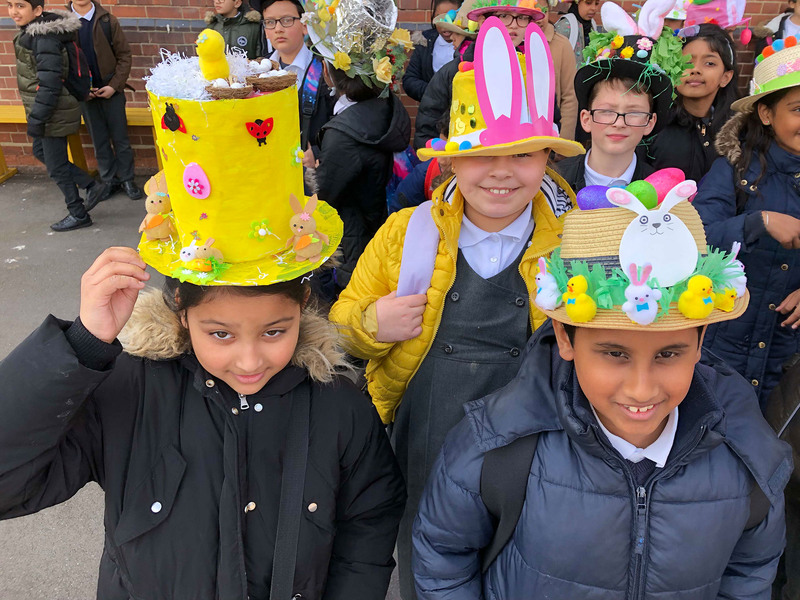 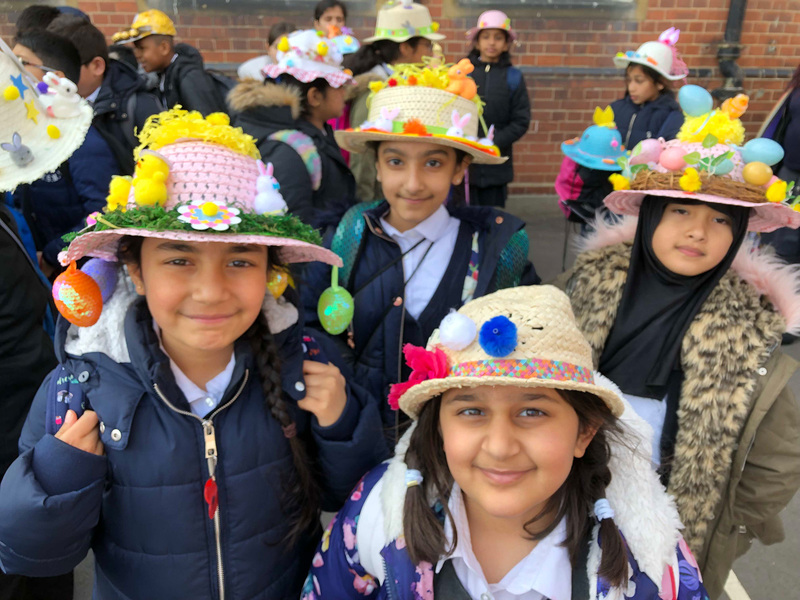 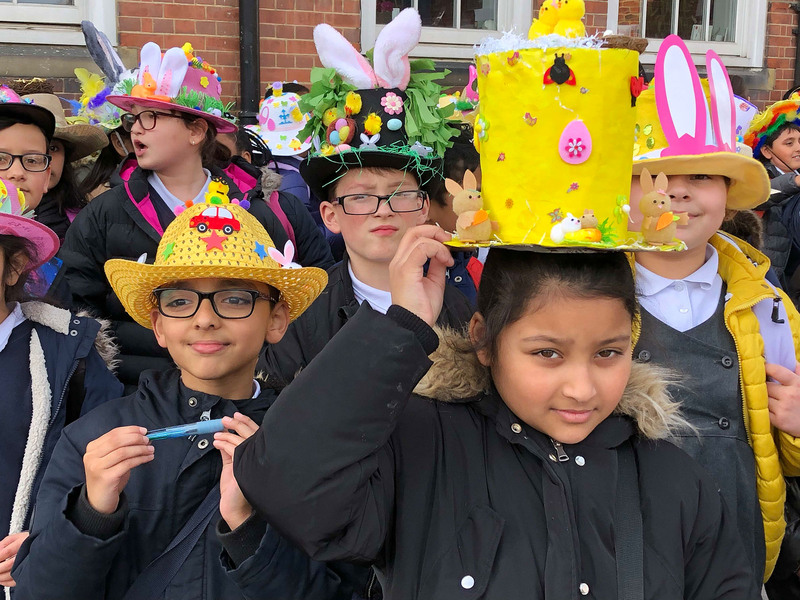 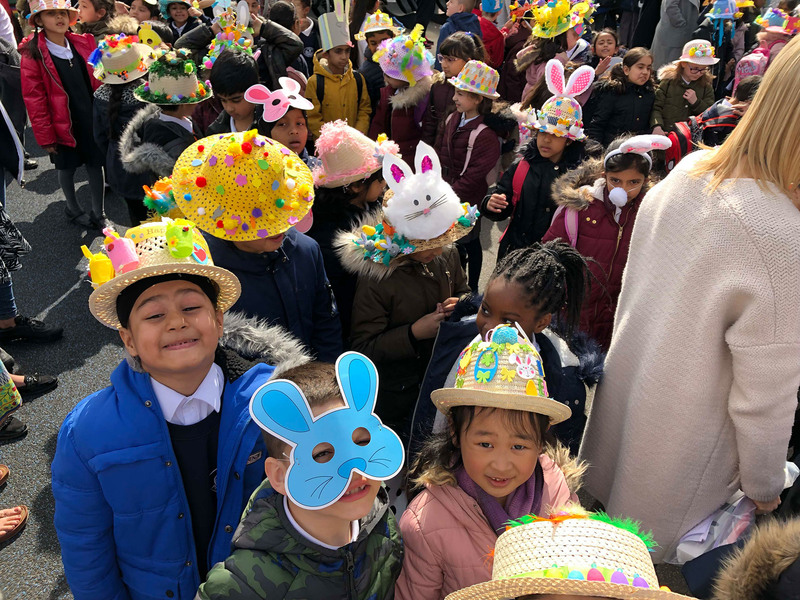 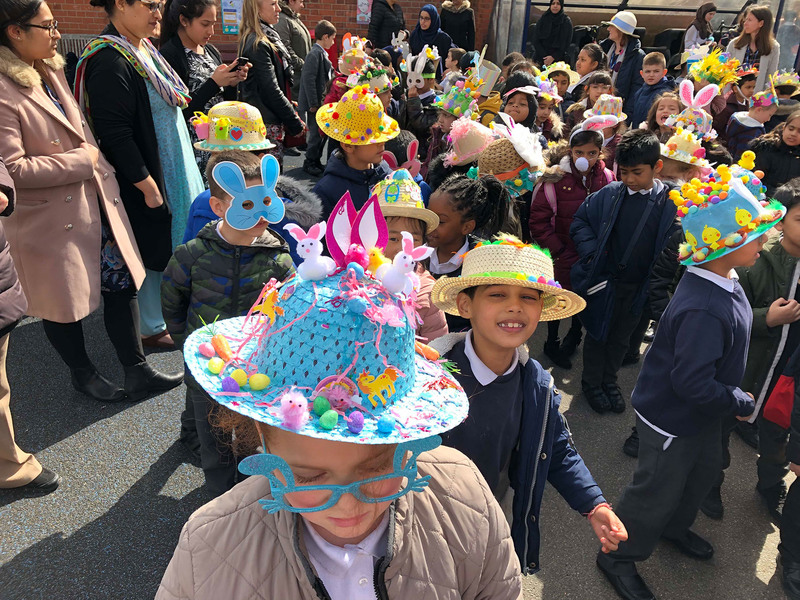 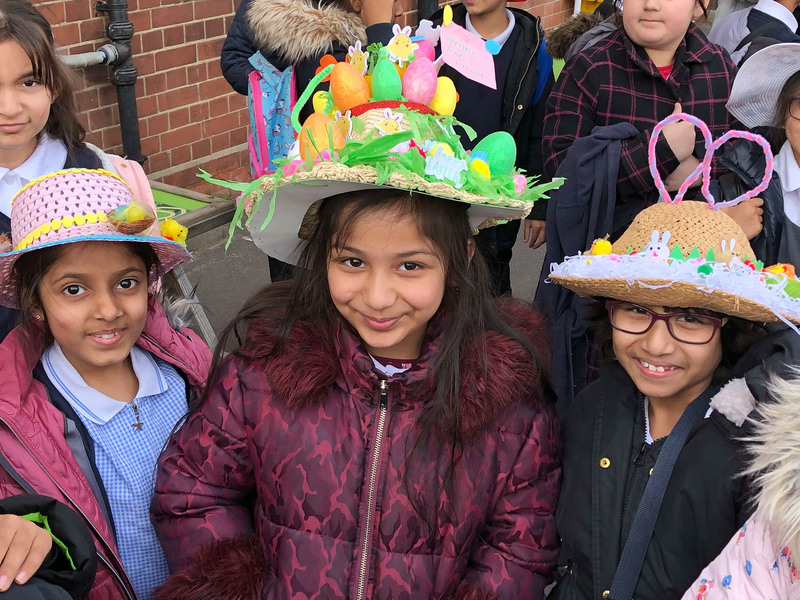 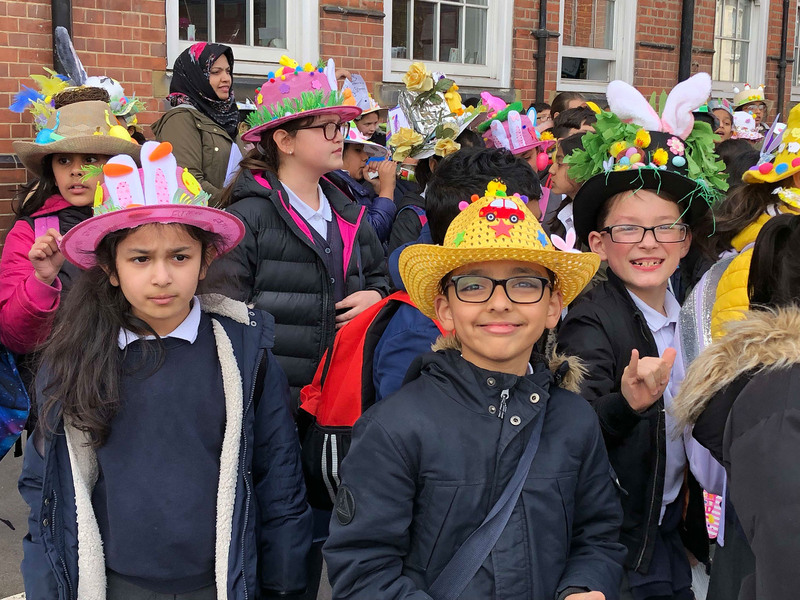 Our fantastic children designed and created some beautiful Easter bonnets that they paraded in the playground on the last day of spring term. 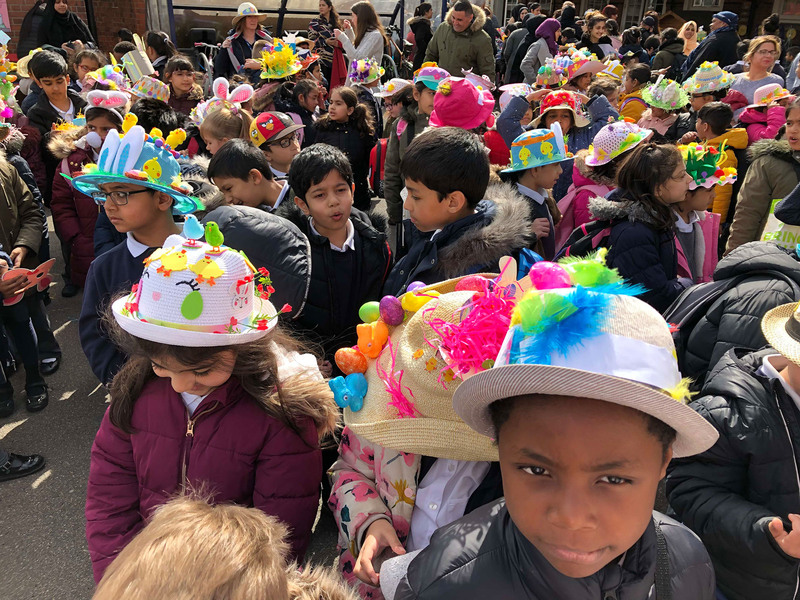 We wish everyone a happy Easter holiday. 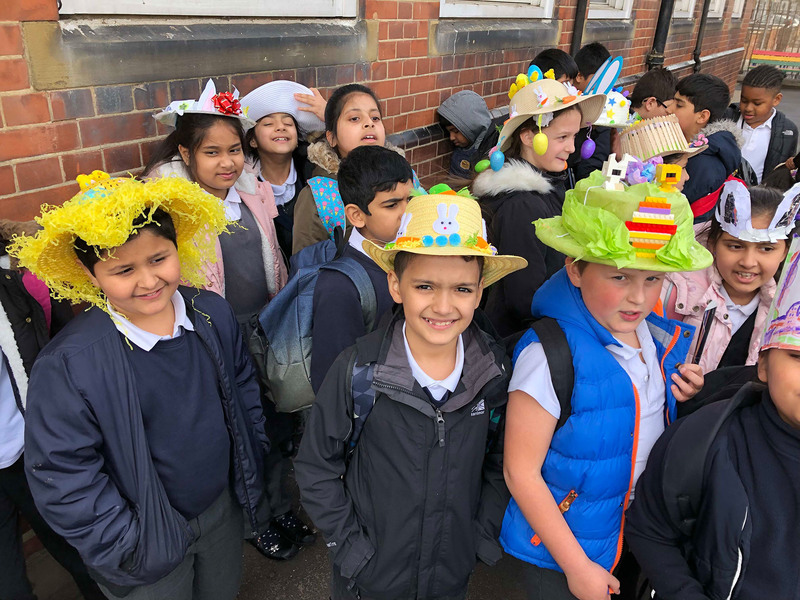 Neptune class performed a wonderful assembly today about endangered animals and why we need to save our planet. 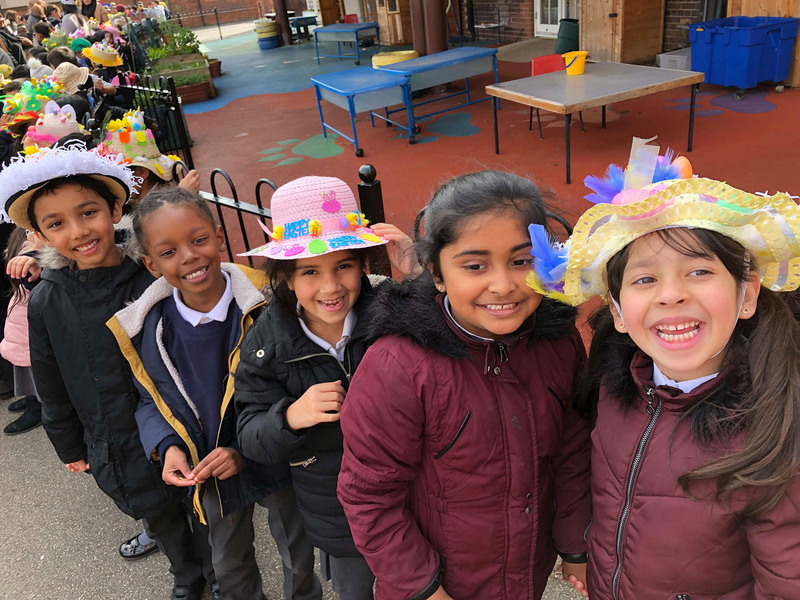 The children all memorised their words perfectly, singing songs and dancing beautifully. 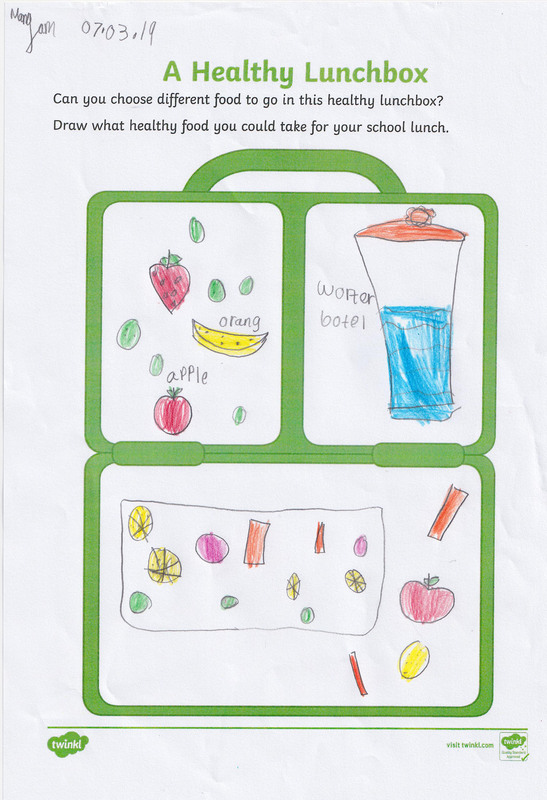 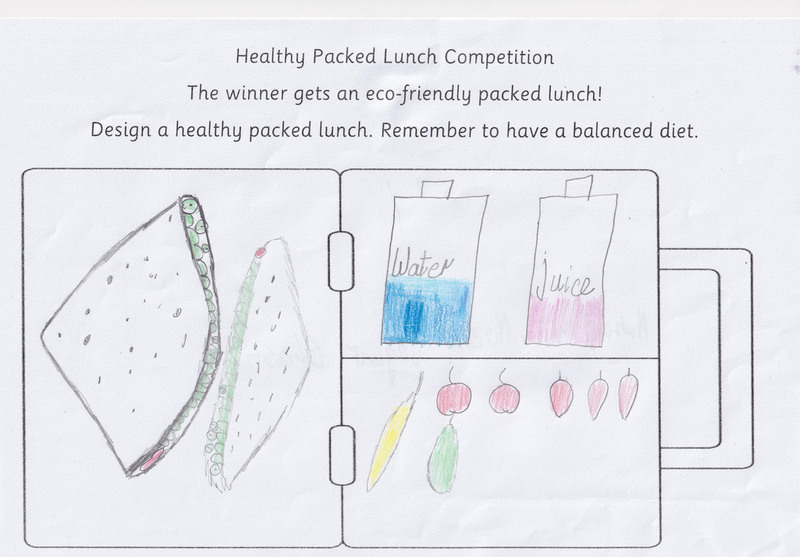 This competition was run to raise awareness for children who are bringing in packed lunches. 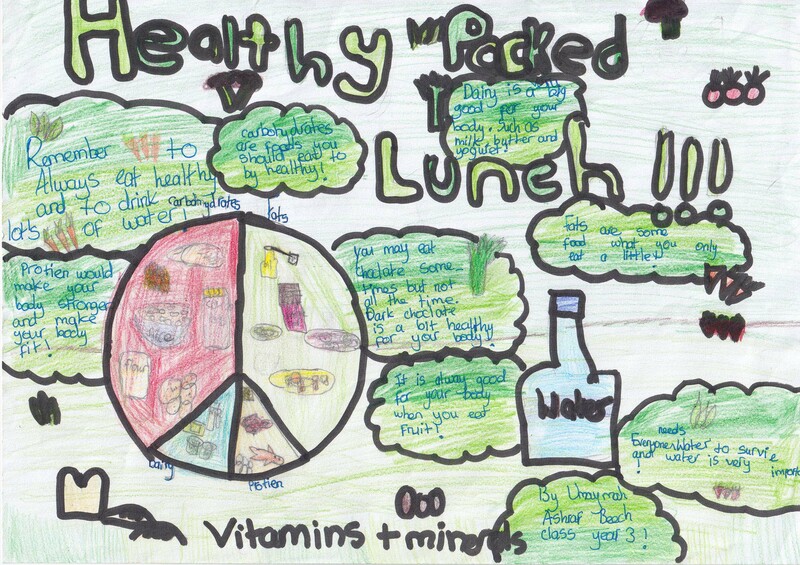 We became aware that children who were bringing in packed lunches did not always have healthy food in them. 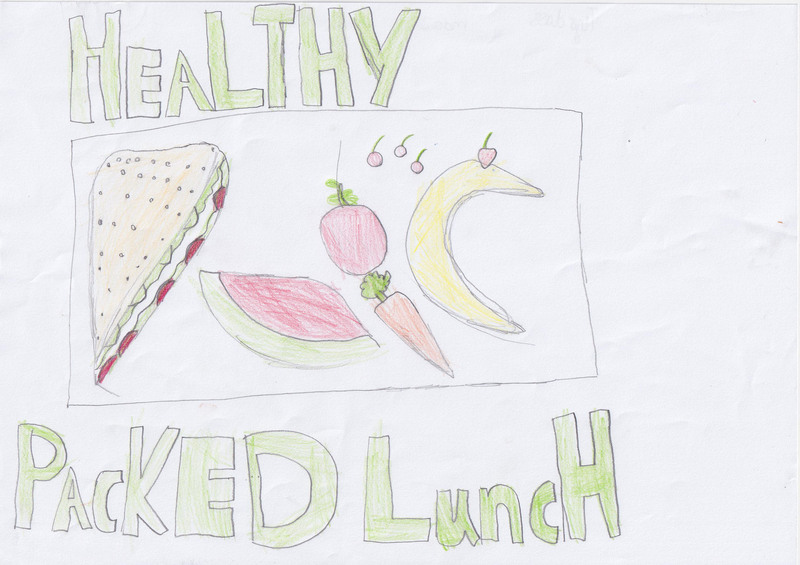 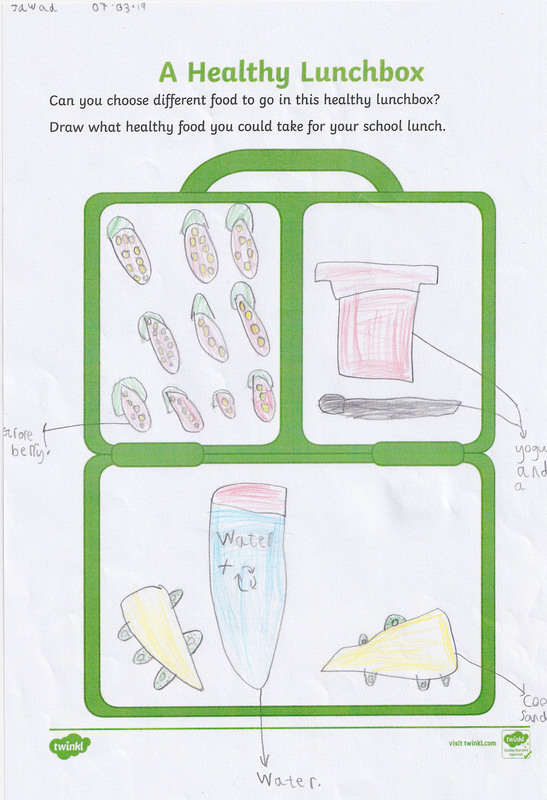 The competition was devised to inform all children about making healthy choices about what they eat. 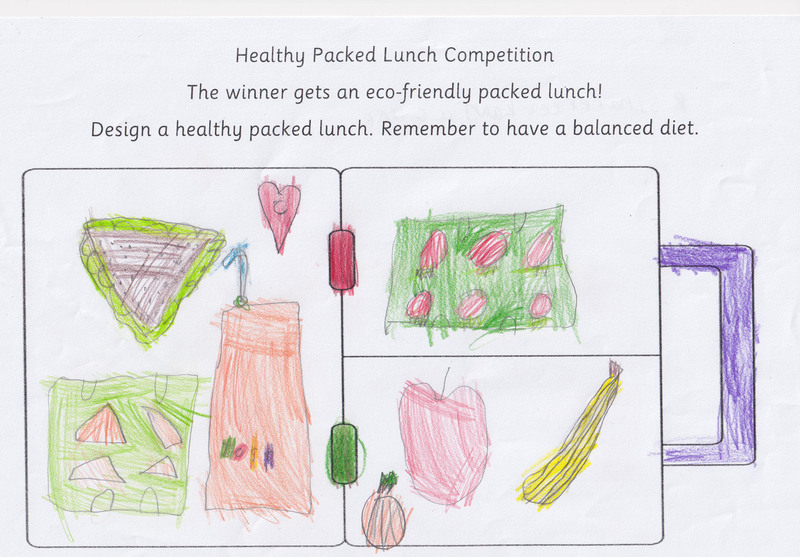 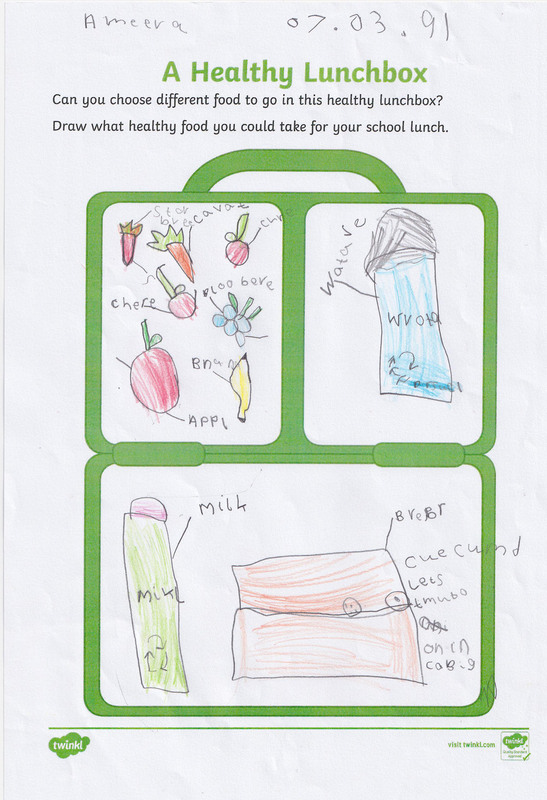 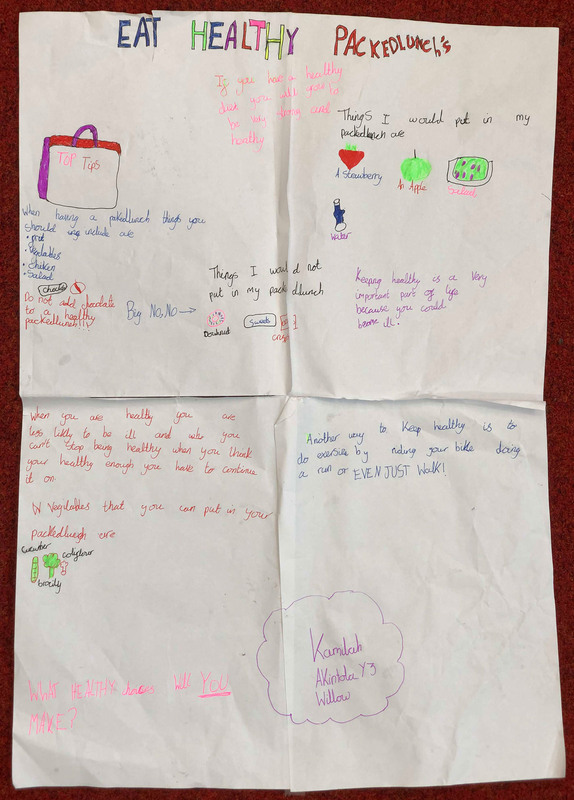 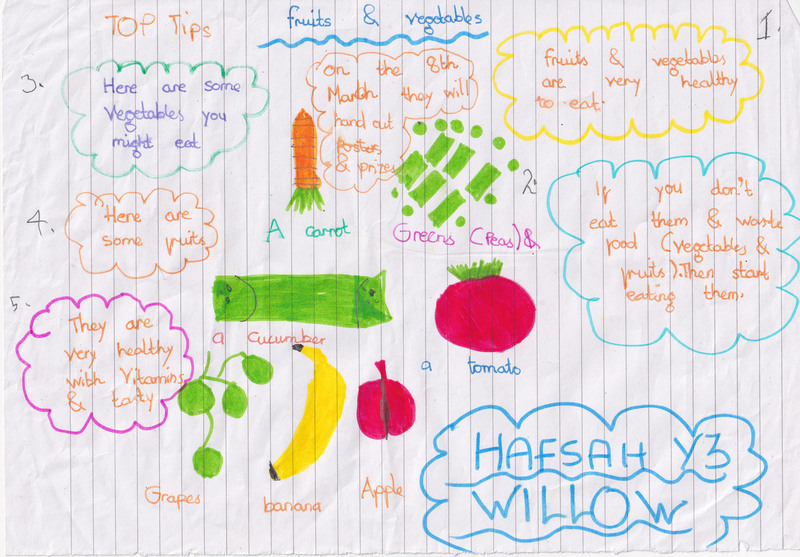 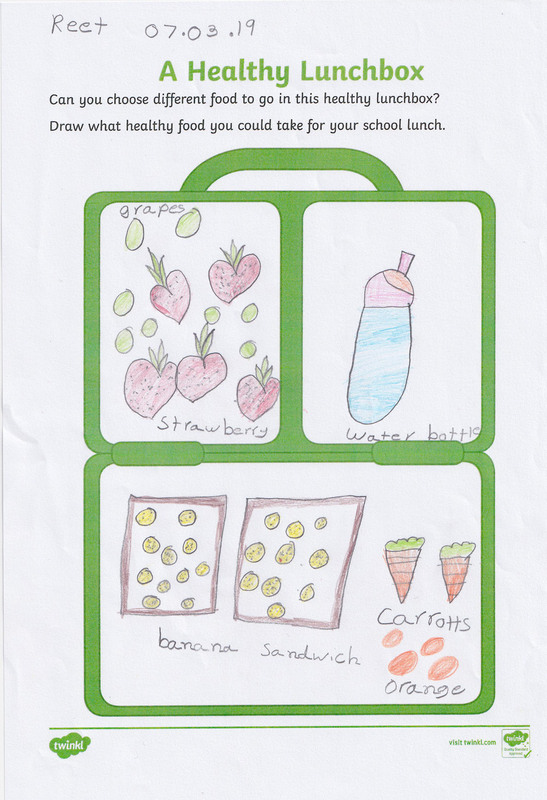 The criteria for the competition was for the children to research what a healthy and balanced diet should include. 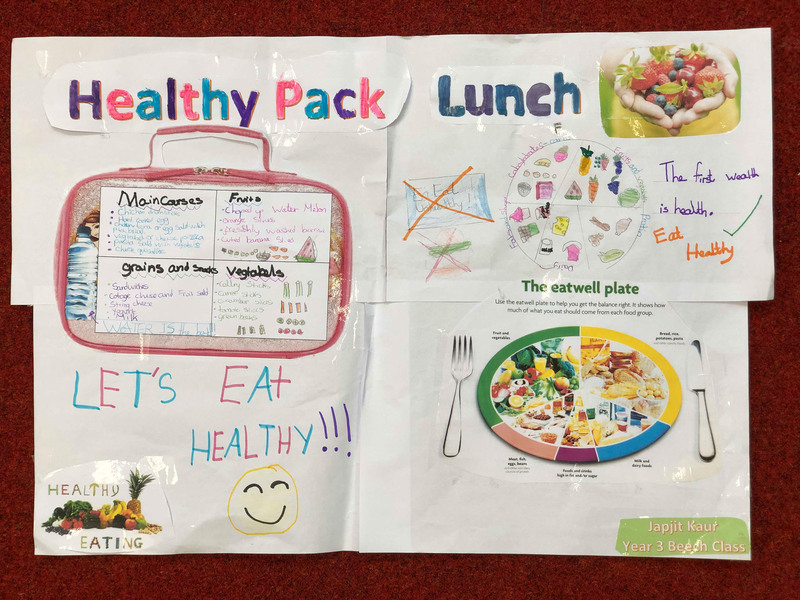 Also, to use their research to help them design a poster and promote healthy eating throughout the school for all children. 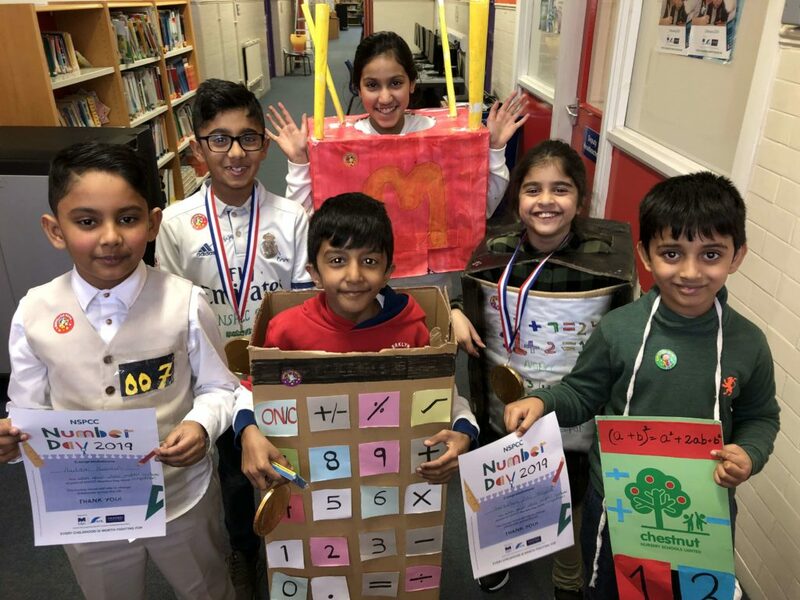 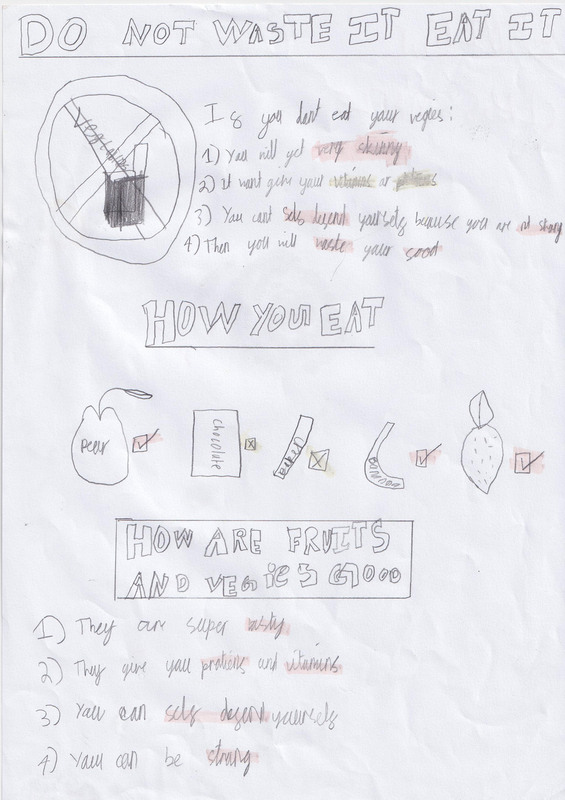 These particular entries won because children included ingredients from all the different food groups to create a nutritious and a balanced diet. 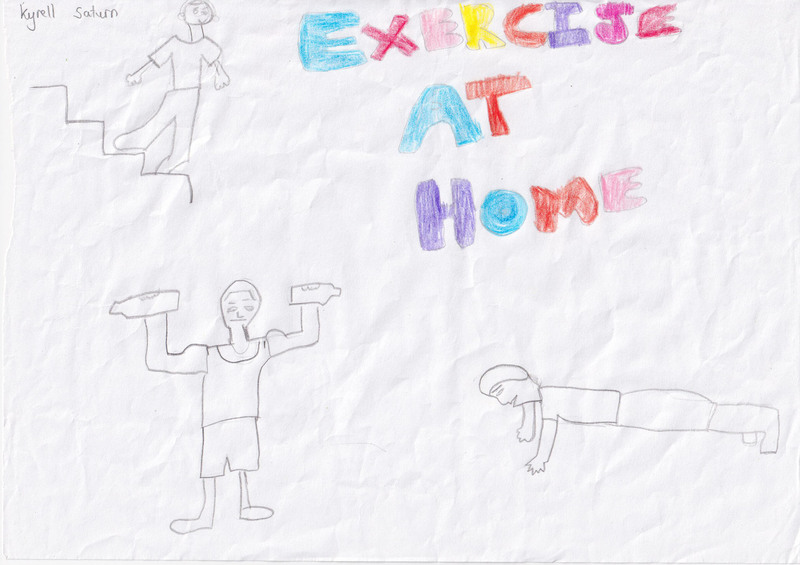 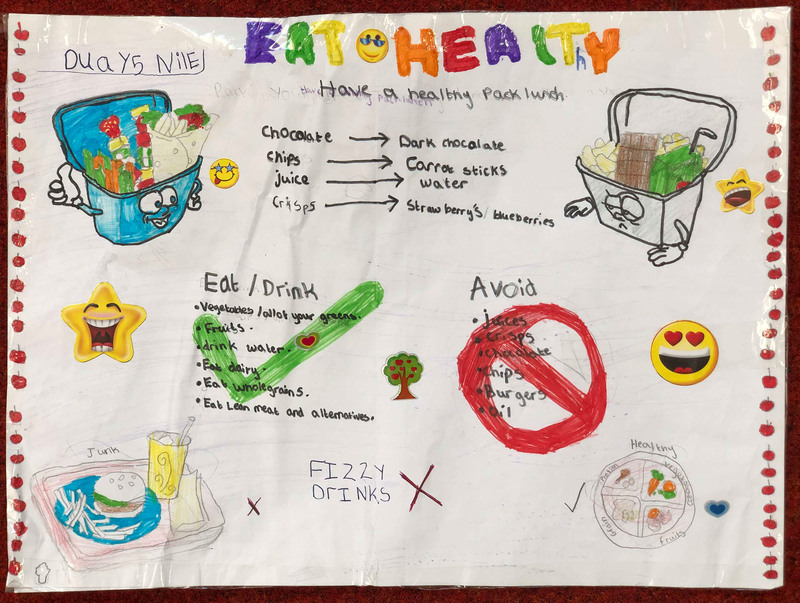 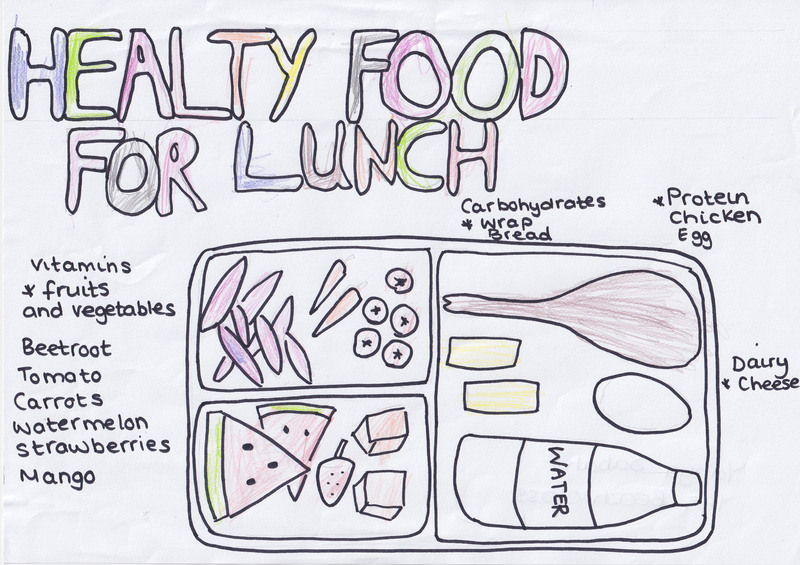 Also the winning posters were designed in a very eye catching way which will inform children across the school to make healthy changes to their diet. 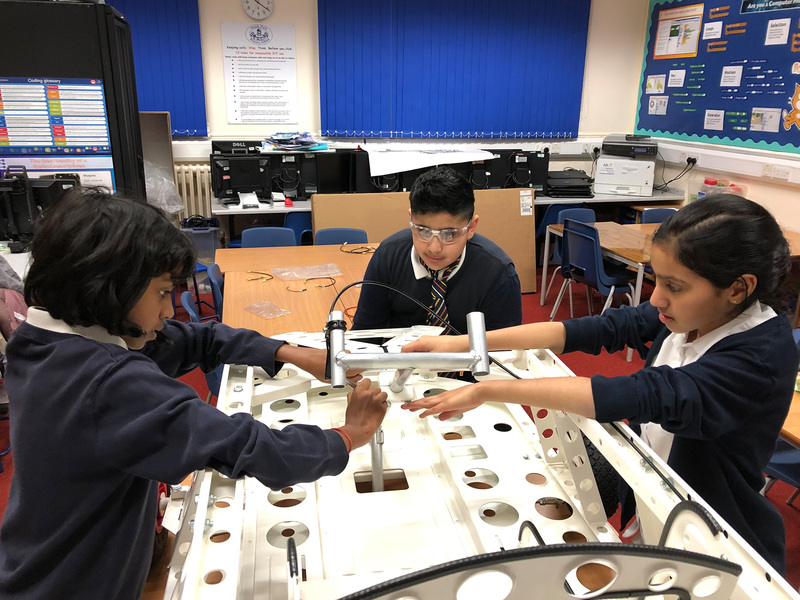 The team have been busy completing installation of the final mechanical and electrical components on our car. 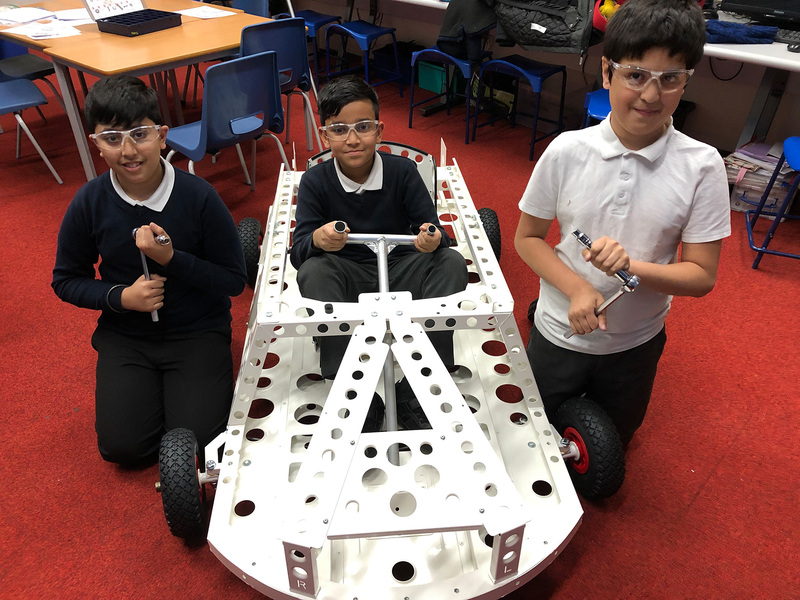 The motor is now installed and the wiring is complete, so we put the batteries on charge and tested the car for the first time on our build bench. 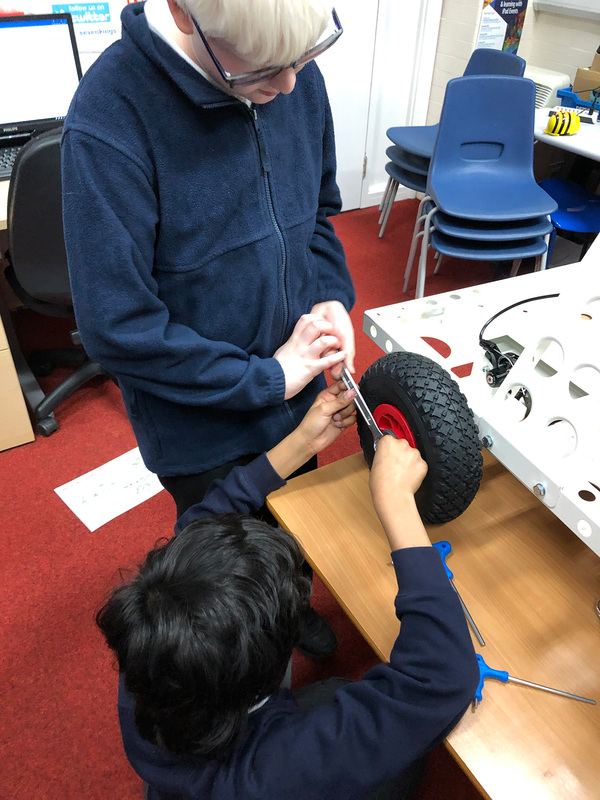 We raised the cars drive wheels and completed our safety checks before turning on the electricity using the safety key. 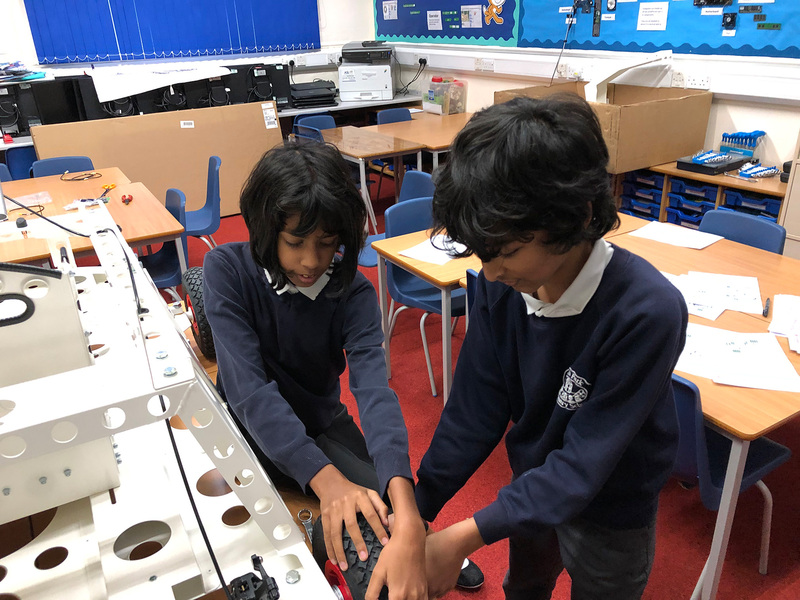 The LED on our rocker switch glowed red and then we pressed the red accelerator button on the steering wheel. 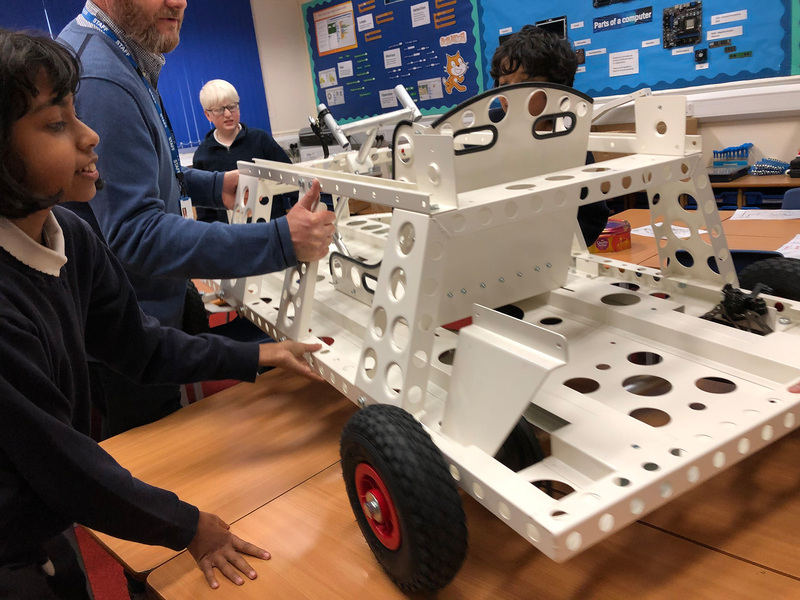 IT WORKED – the motor rumbled into life and the wheels turned – success! 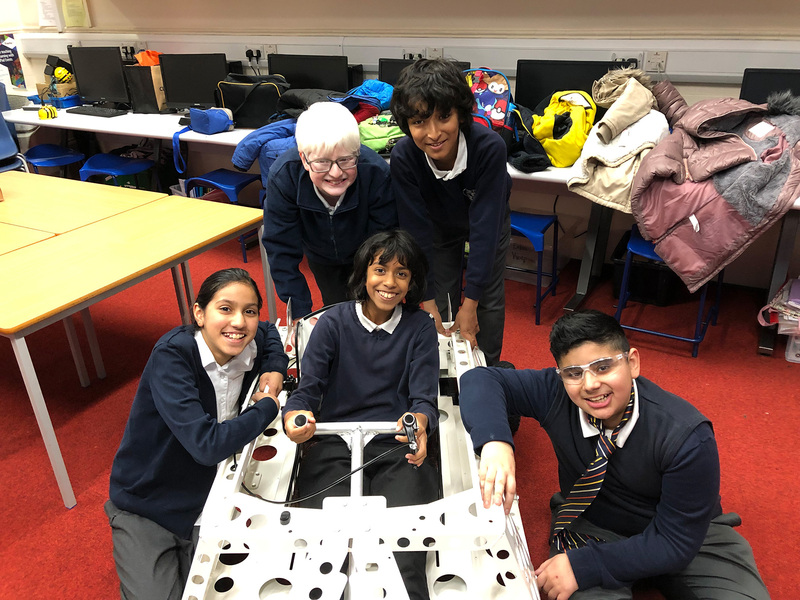 We spent the last few weeks planning and starting to create the car bodywork. 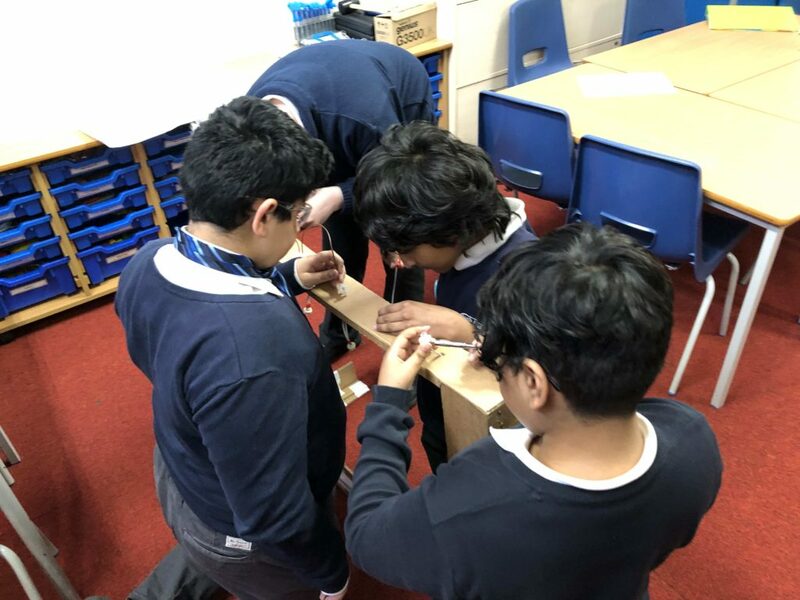 We are recycling the cardboard packaging that the car kit arrived in for the stiff side and front panels. 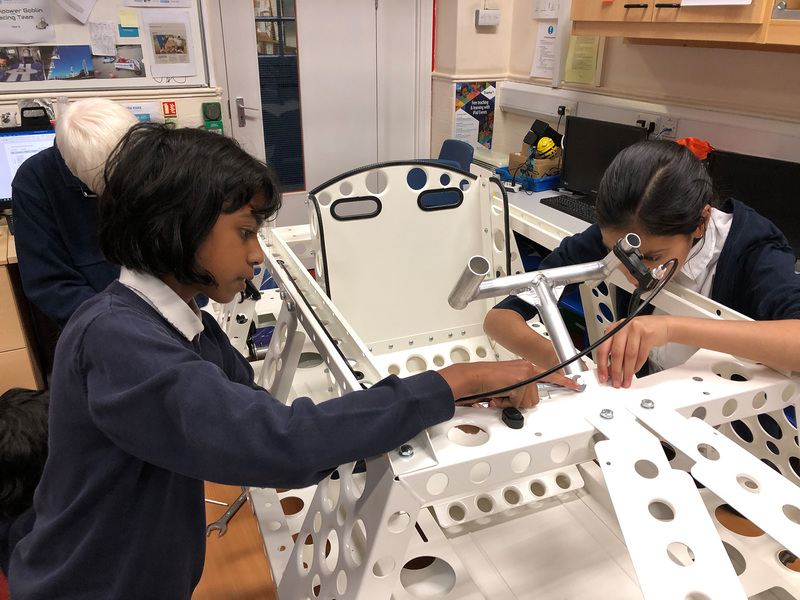 We have been painting them with PVA glue to make them waterproof. 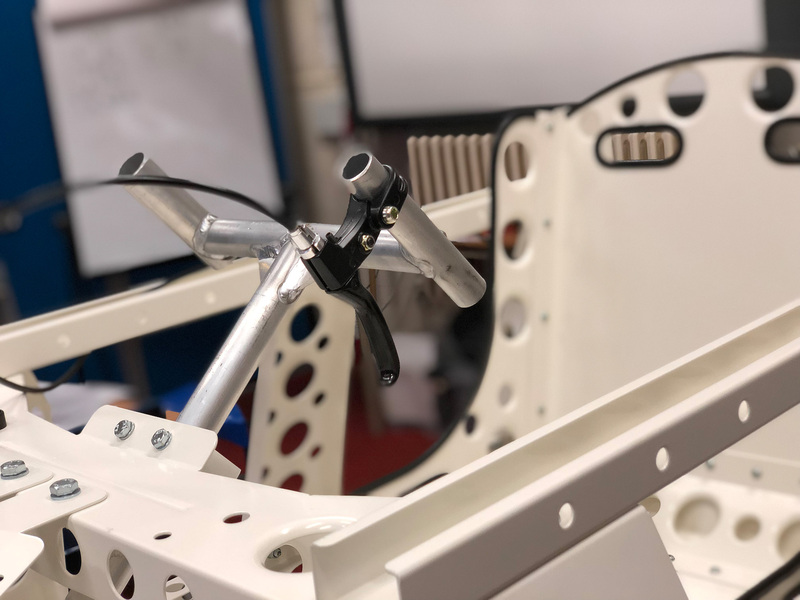 We have a surprise up our sleeves for the final design of the bodywork. 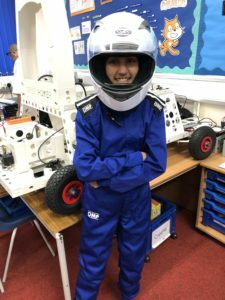 Our helmet and overalls have also arrived for us to try on. 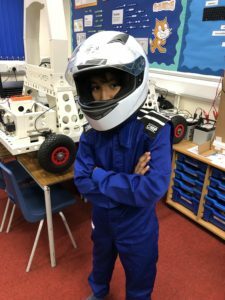 We look like real racing drivers when we wear them. 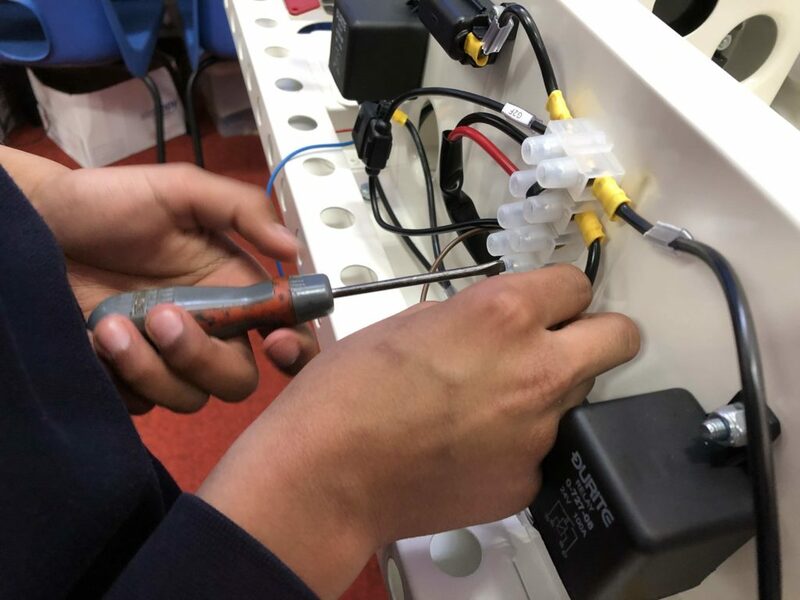 Some of our team have made a special electrical rig to condition our batteries so they keep the best charge they can. 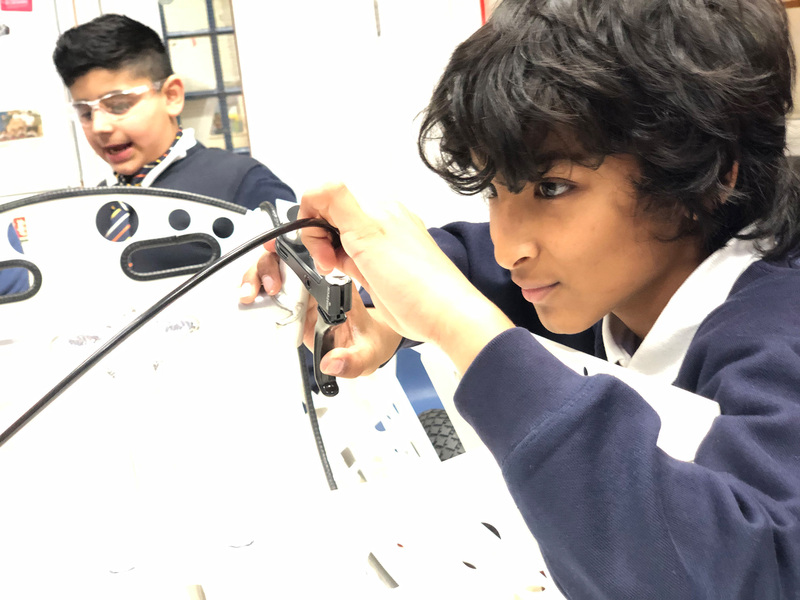 We had to wire up some light bulbs in series and create a circuit that we could use to partially discharge our car batteries before charging them again. 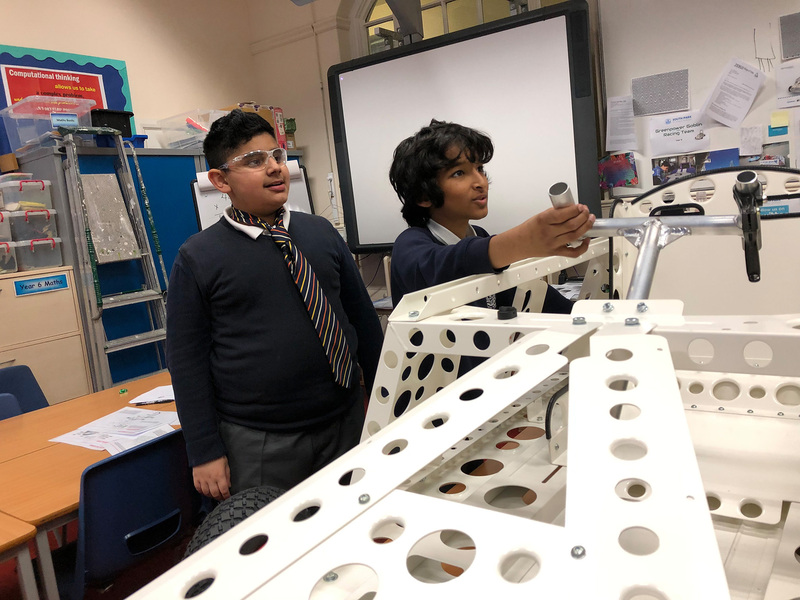 Our other big task is to make a portfolio to record the progress of our car build. 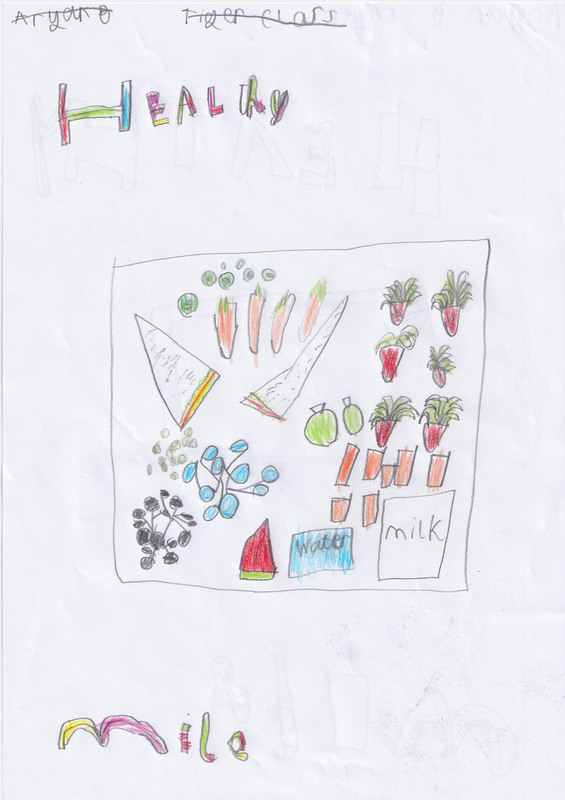 This will contain all our plans, photographs, drawings and the story of our project. 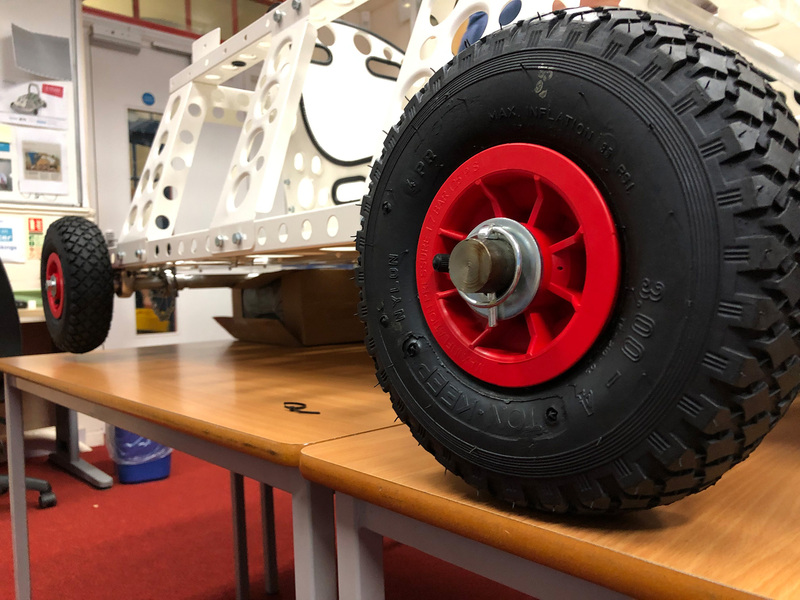 It will be judged at the race events and have points awarded to the team with the best portfolio. 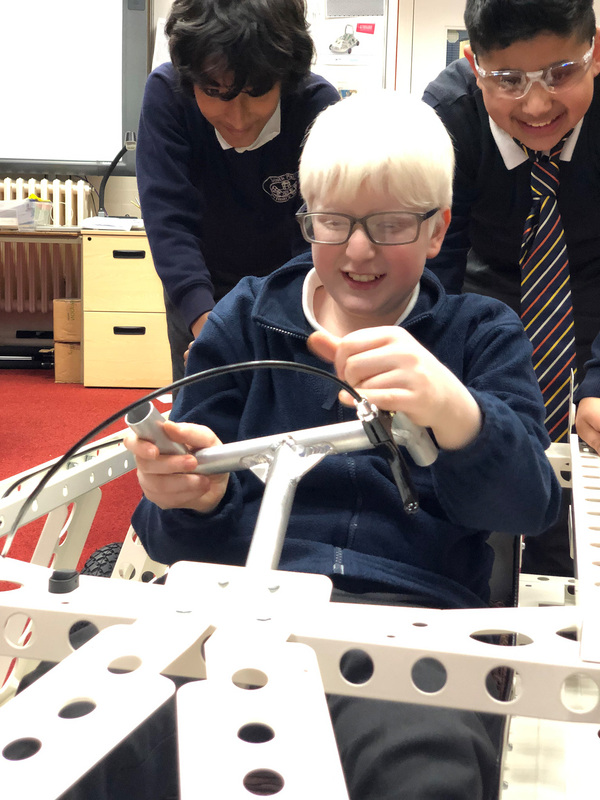 Finally – we have entered our first official Greenpower race to take place on Saturday 6th July at Ford Dunton Technical Centre near Basildon in Essex. 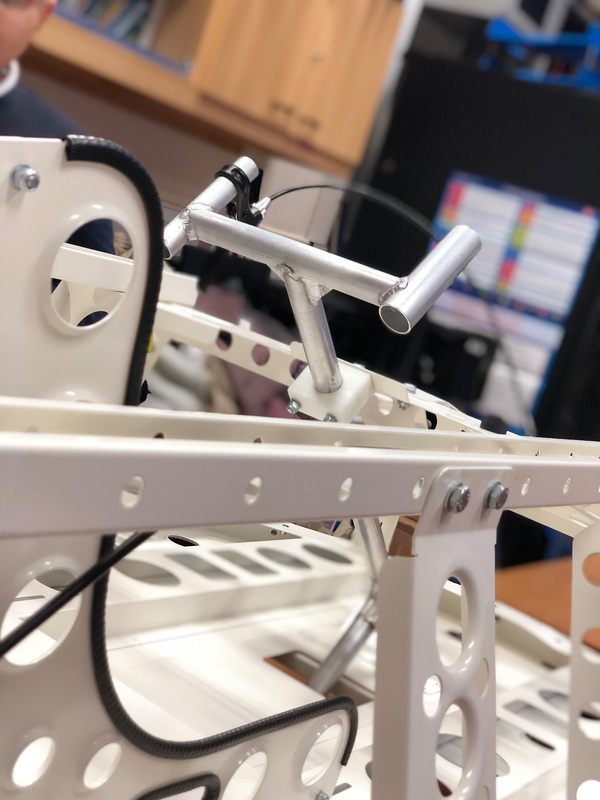 Everyone is welcome to come and cheer us on. 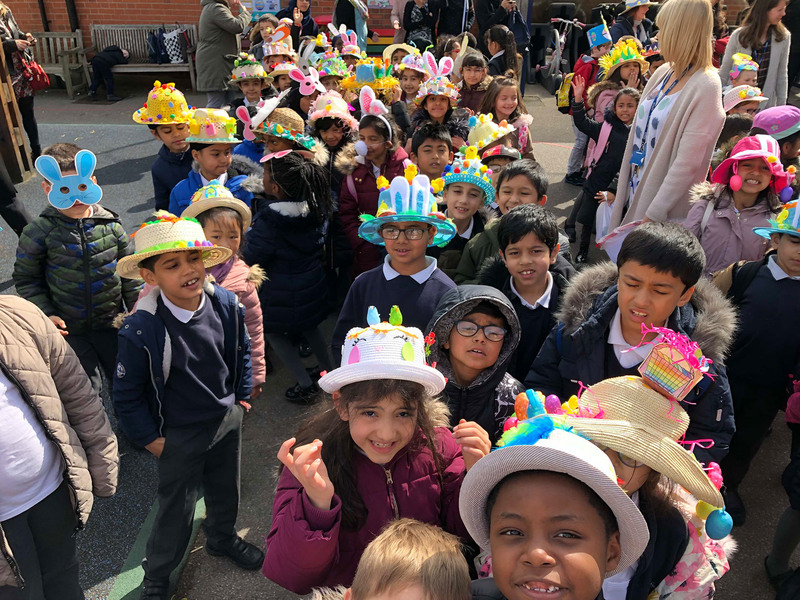 Maple class performed a wonderful assembly today based on the book “The Day the Crayons Quit”. 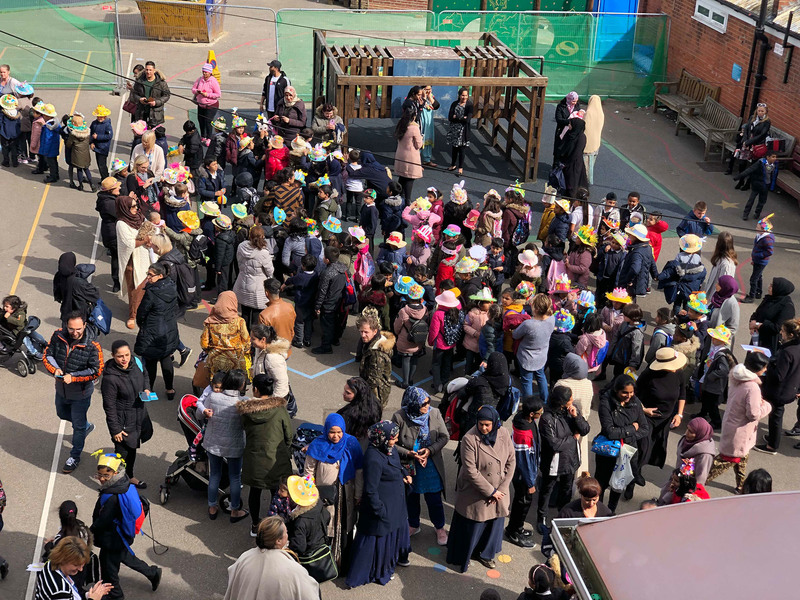 The parents and children thoroughly enjoyed watching maple class acting and singing. 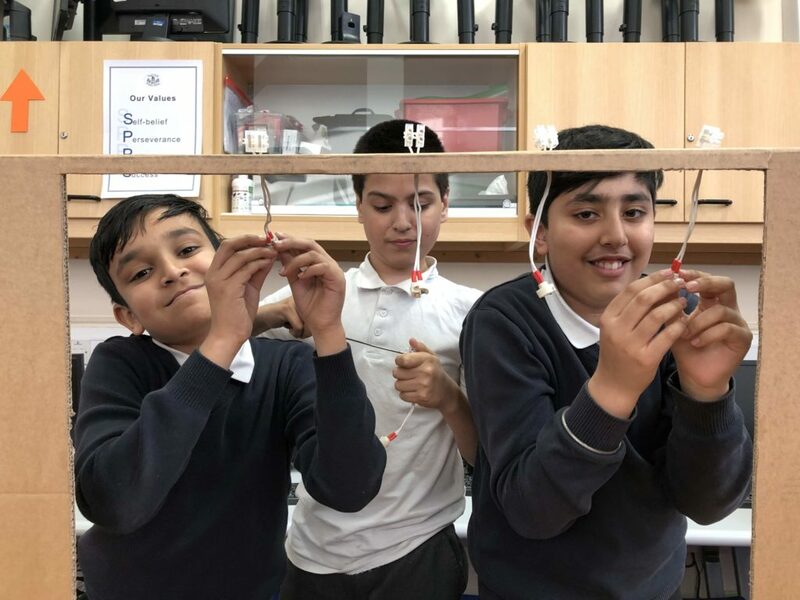 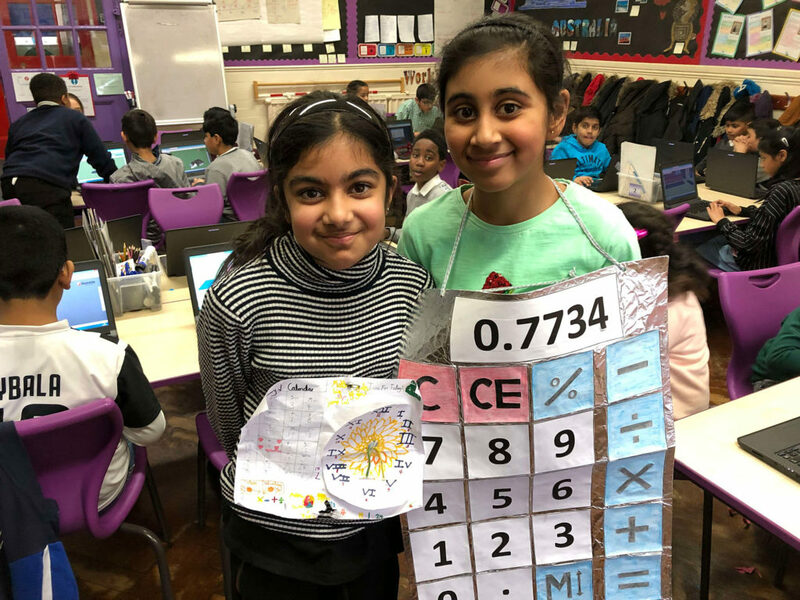 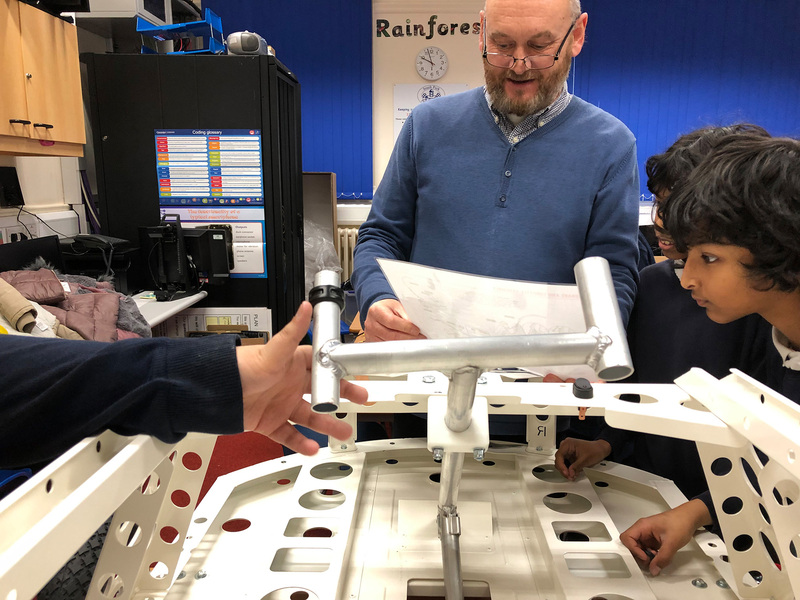 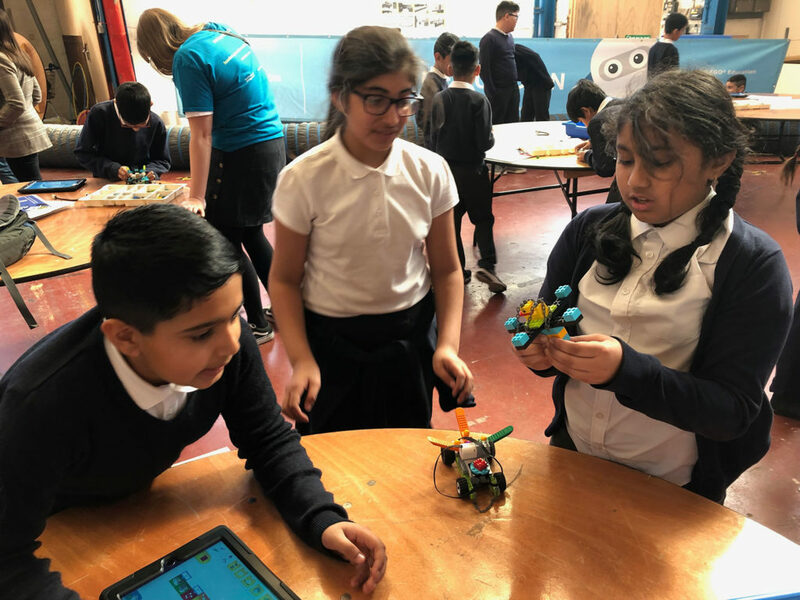 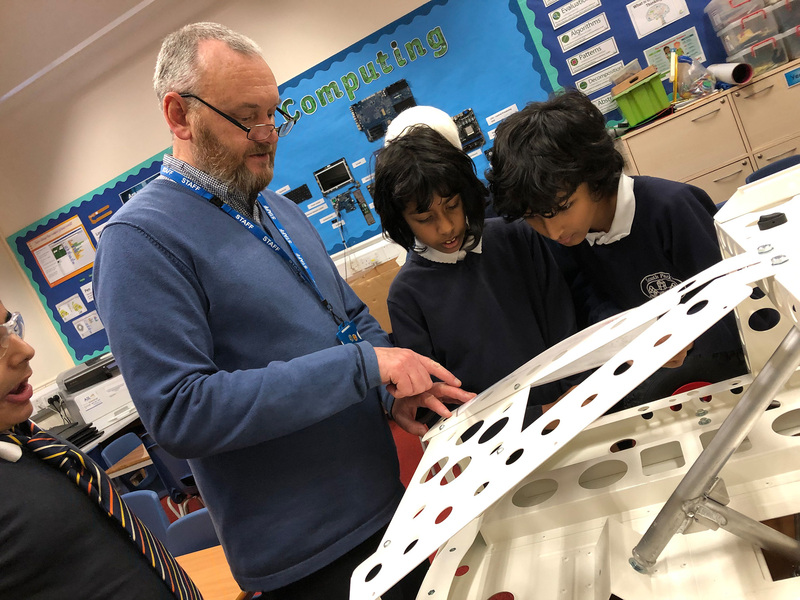 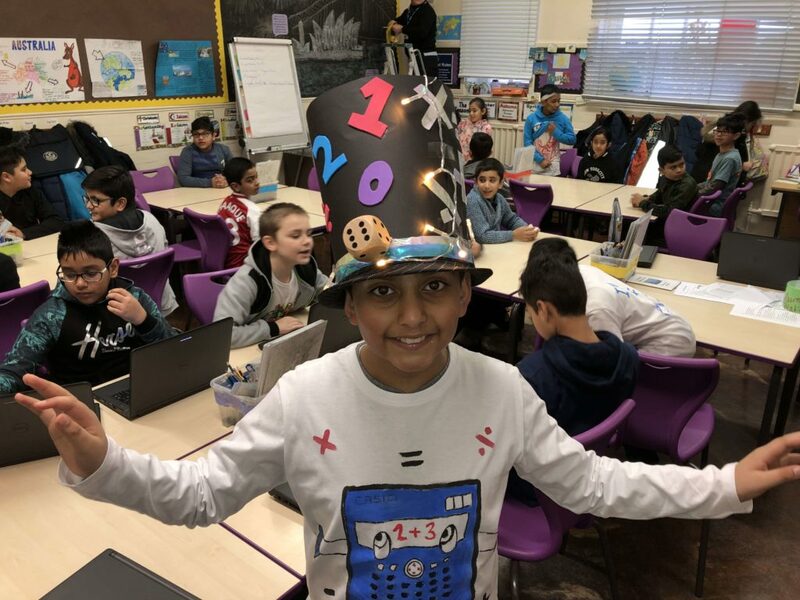 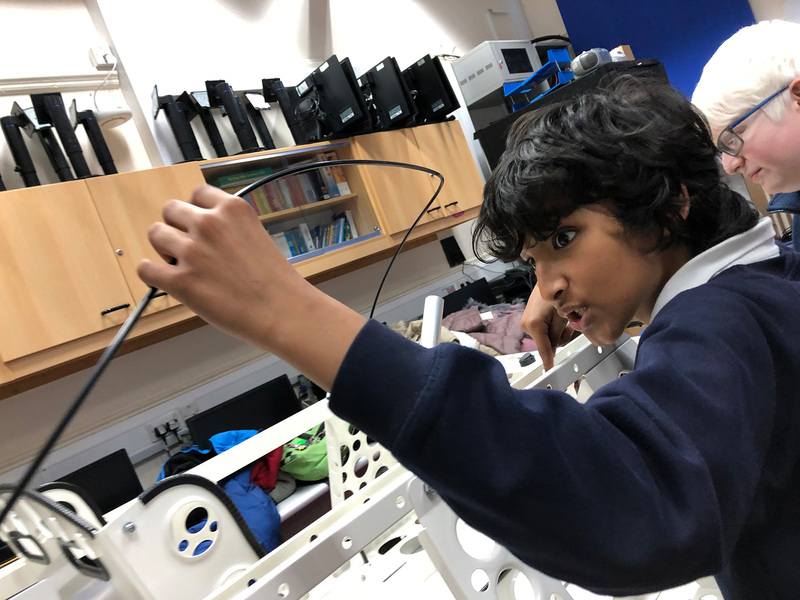 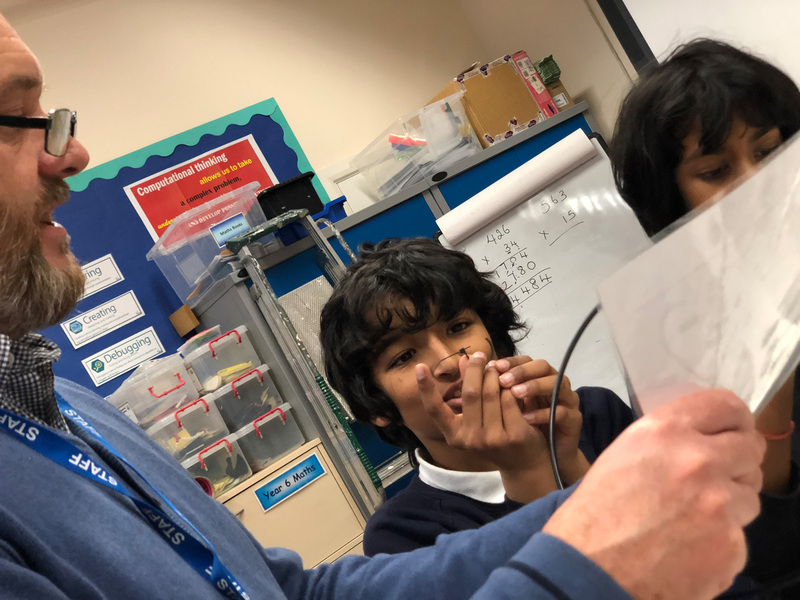 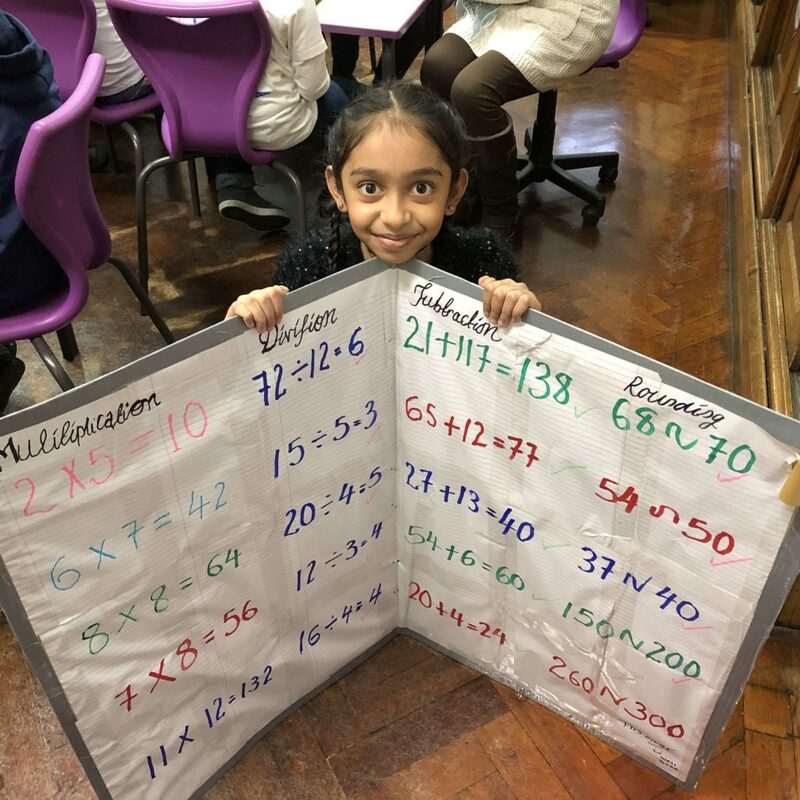 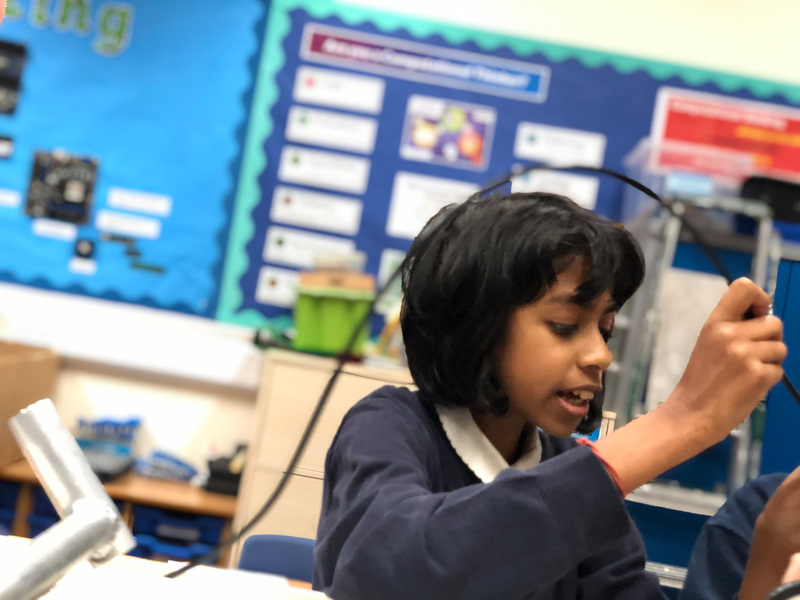 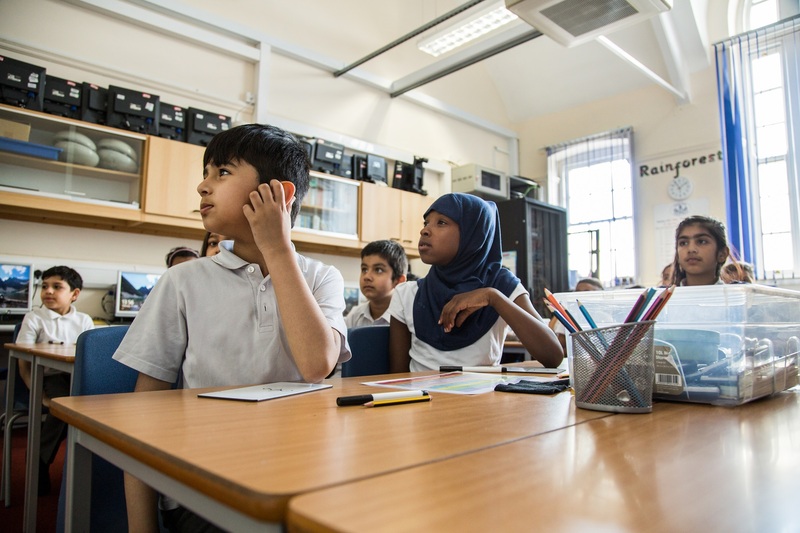 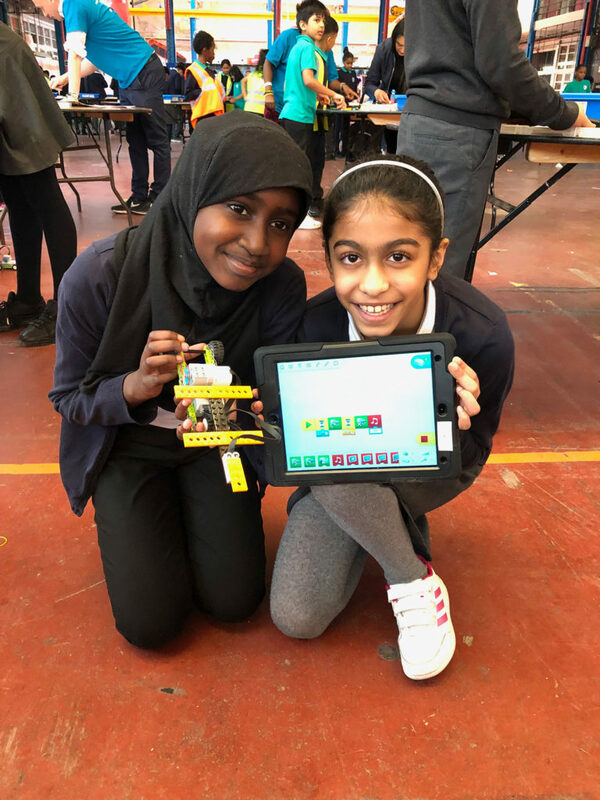 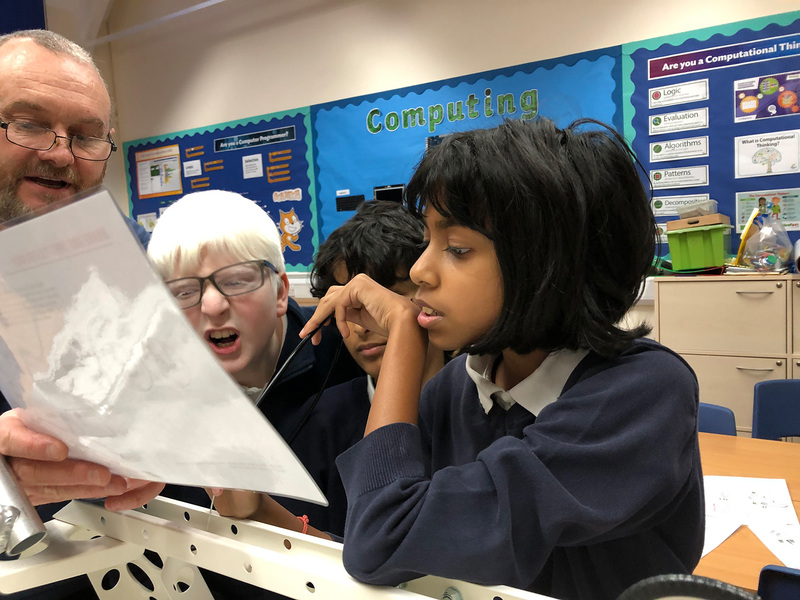 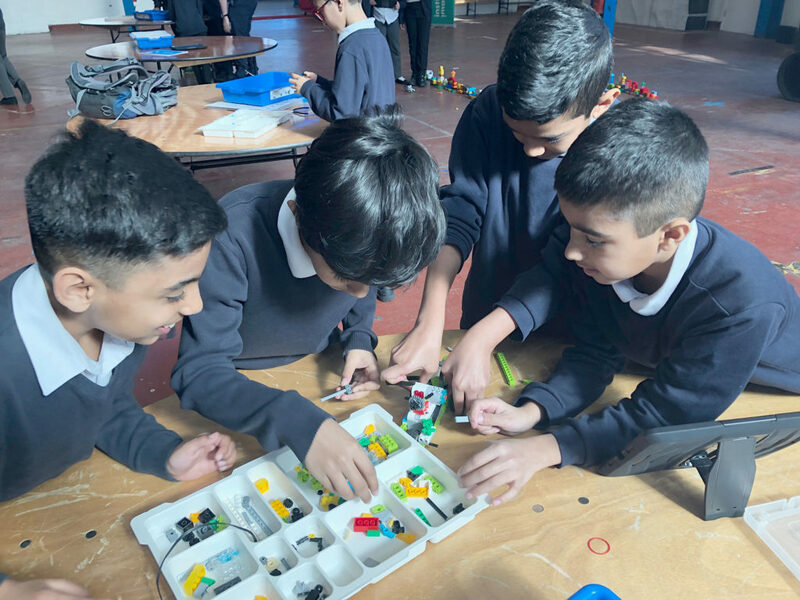 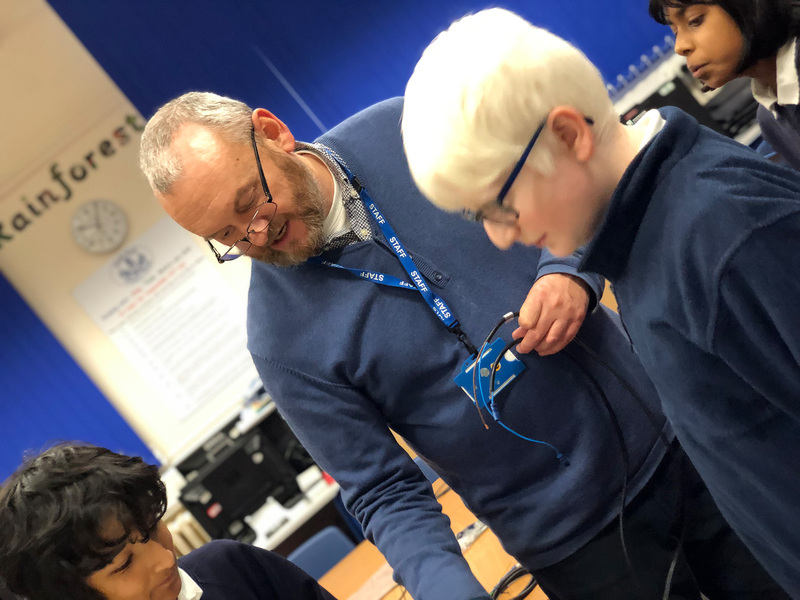 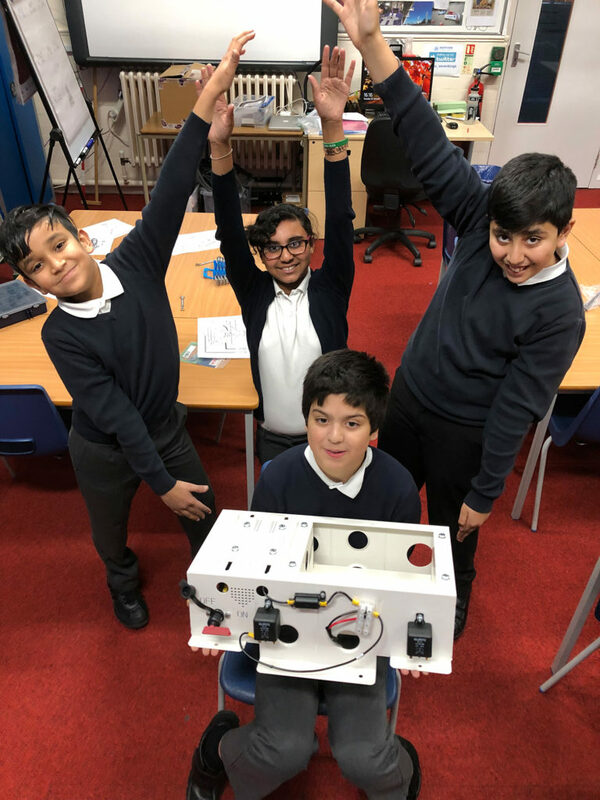 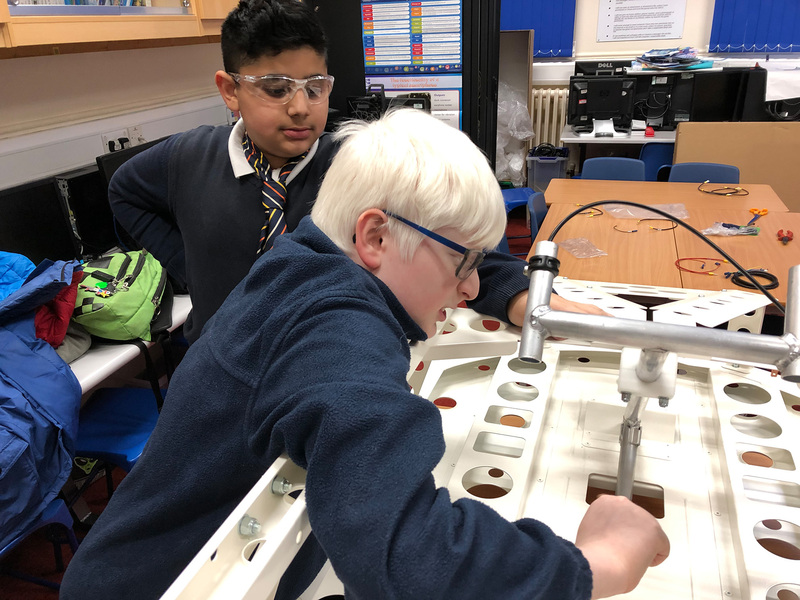 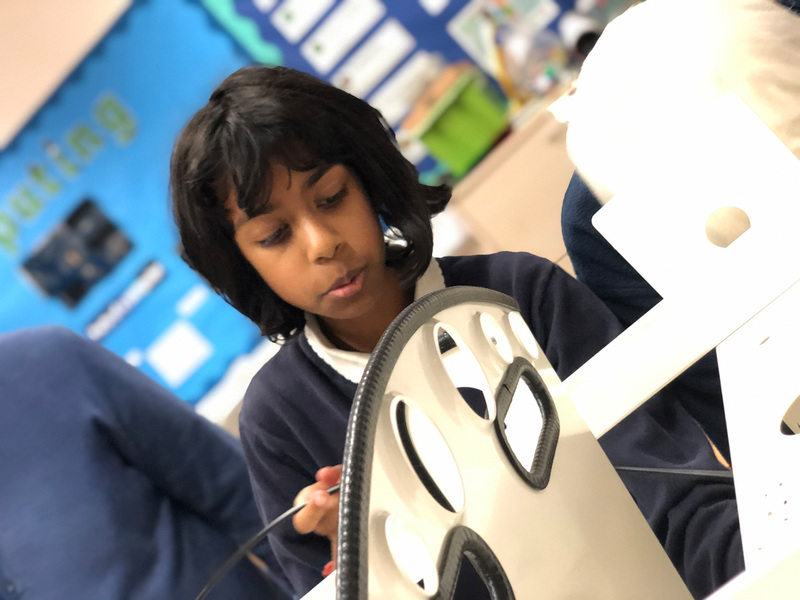 On Tuesday, our Year 6 classes went on a trip to the Imagination Lab in central London where they took part in a robotics workshop funded by the Mayor of London. 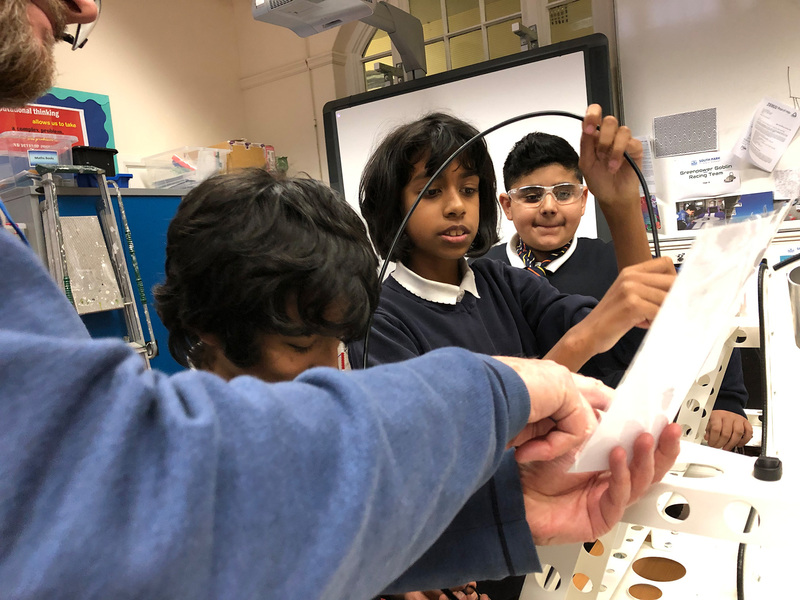 The theme of the workshop was how the younger generation can help to solve some of the environmental problems our city is facing. 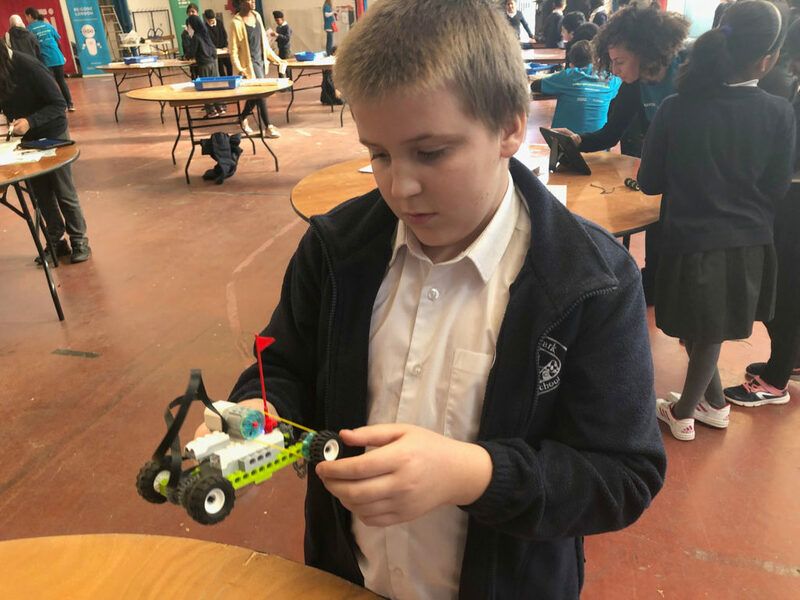 The children were tasked with designing and building their own electric vehicle. 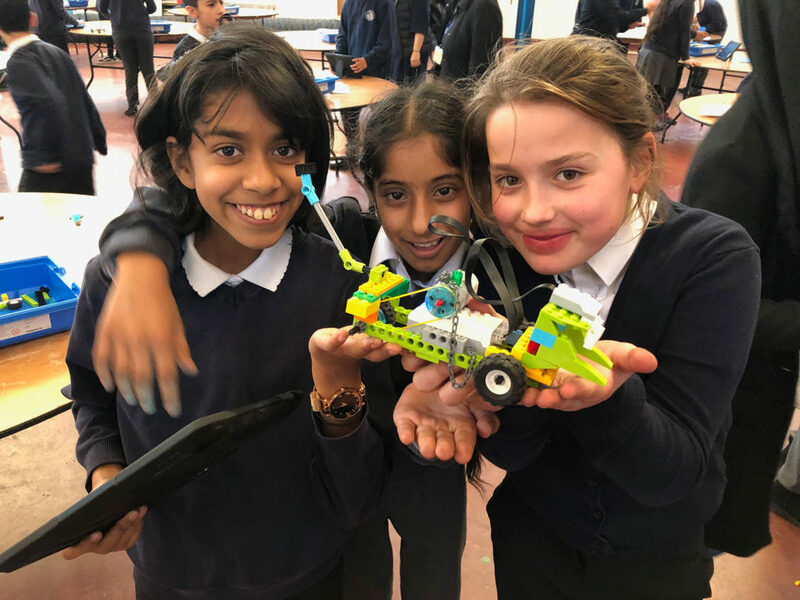 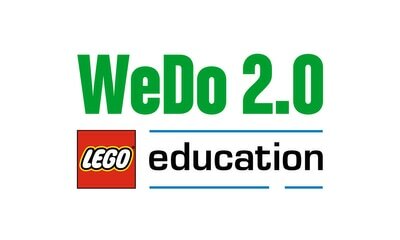 They had a fabulous time learning about how to create a small working car from Lego WeDo kits, and then experimenting with coding these robotic cars using an app on iPads. 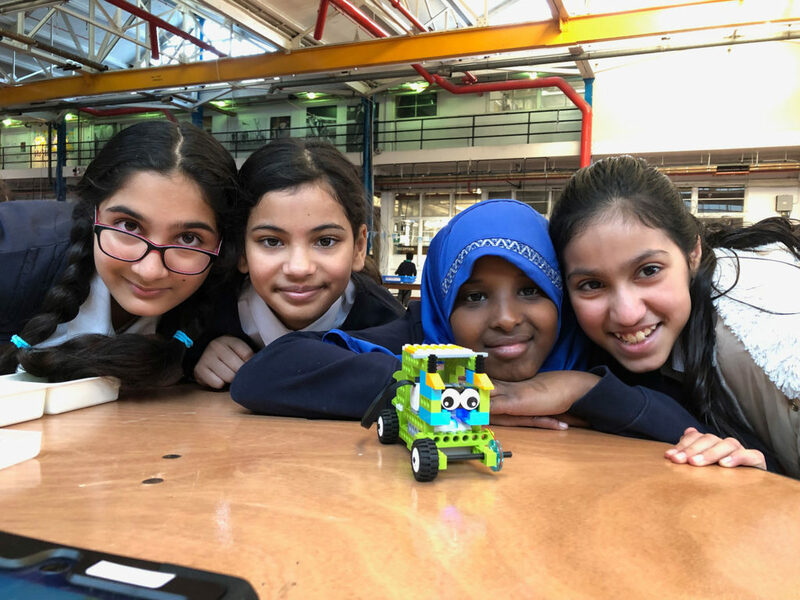 They could even add distance sensors and create programs that meant their cars would never crash. 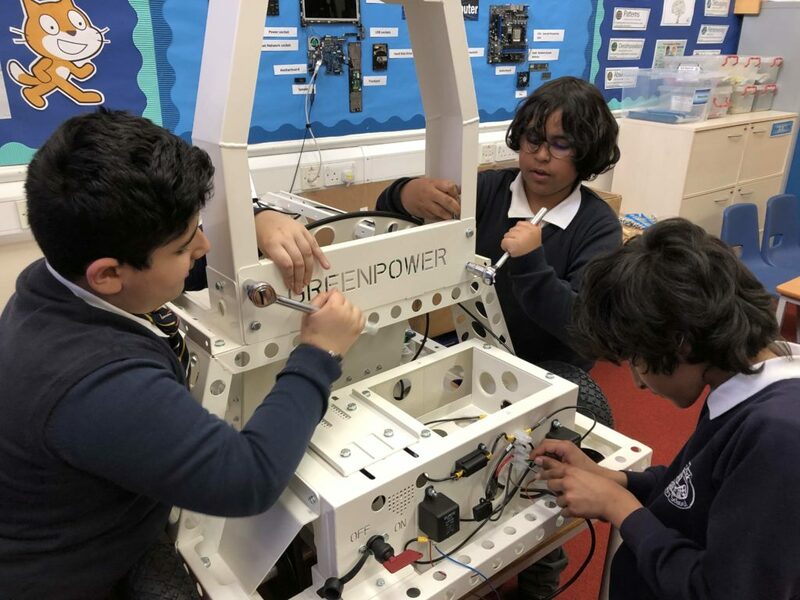 Our Greenpower teams have been back to work after our Christmas break. 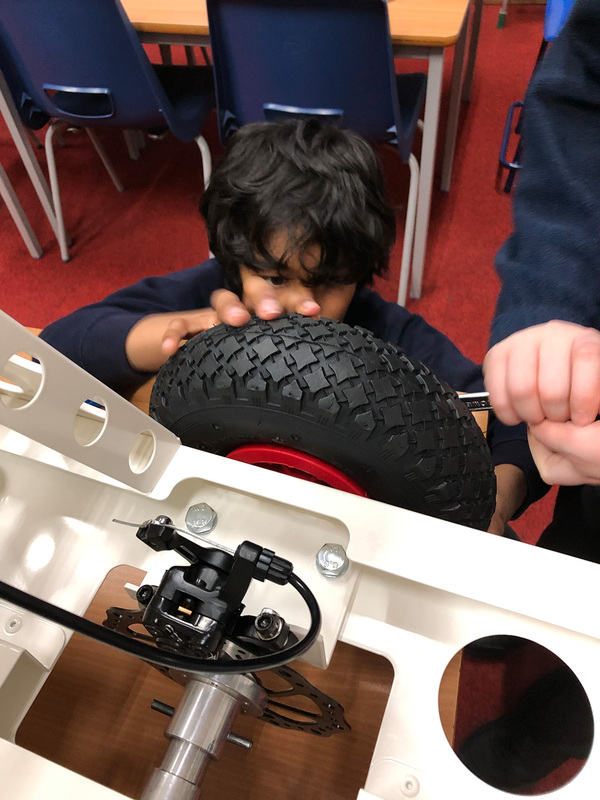 We have finally put all four wheels on the car and can sit in the car to try it for size. 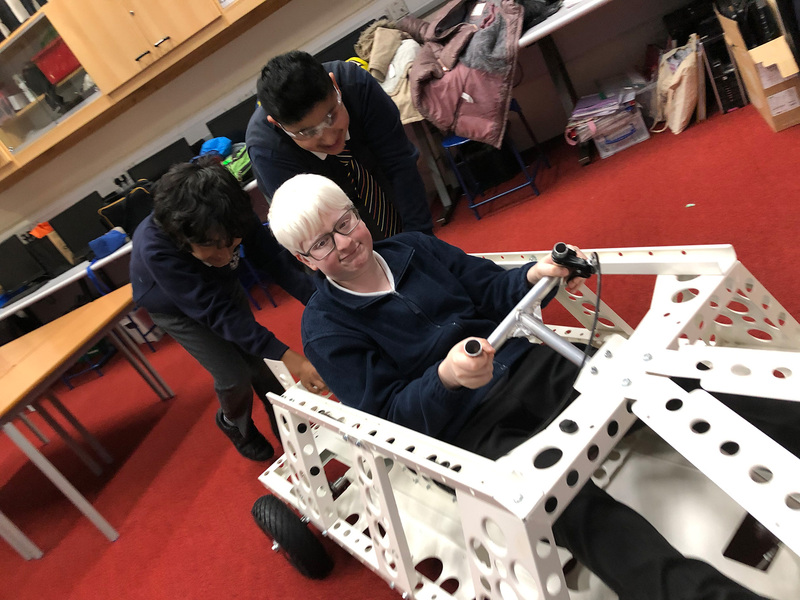 The team have been testing the steering and brake systems. 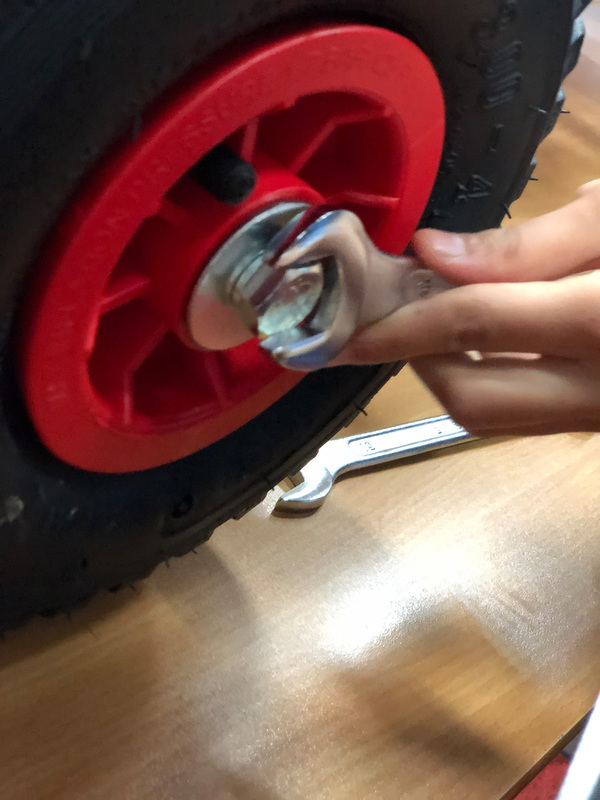 The steering was a bit stiff so needed some oil and adjustments. 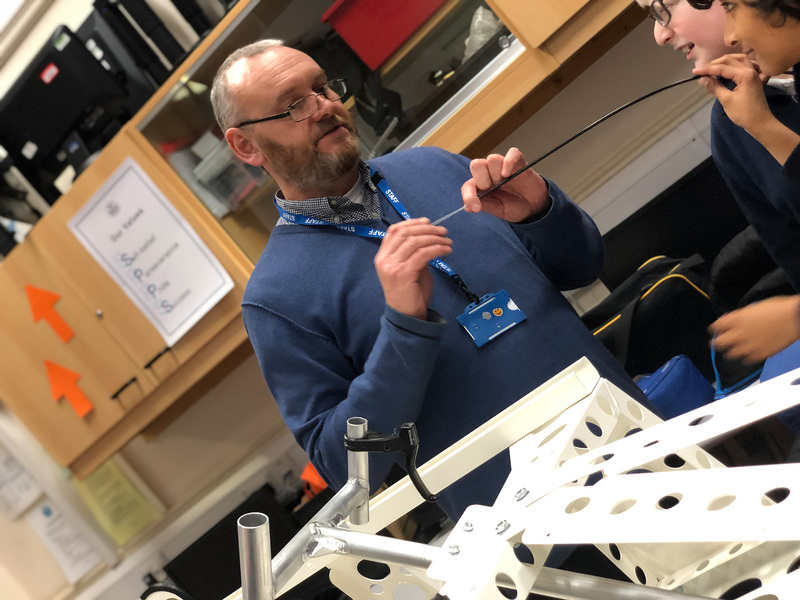 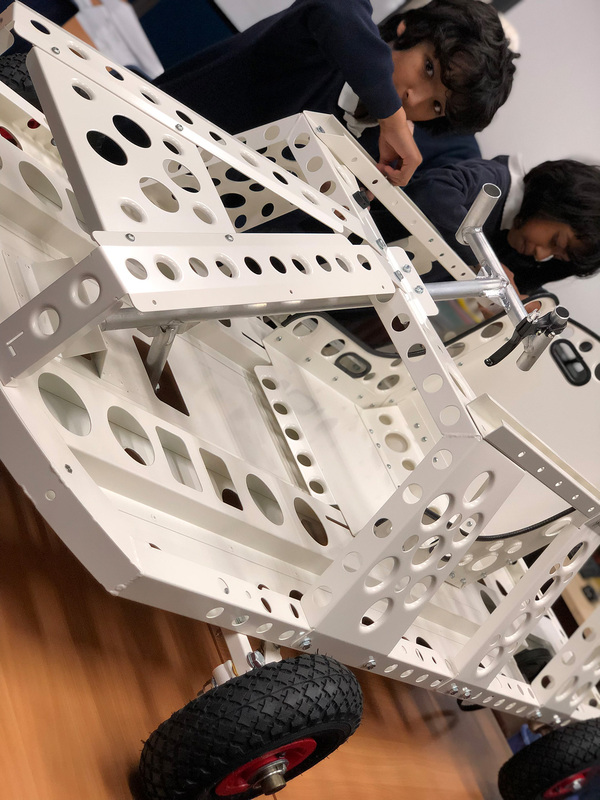 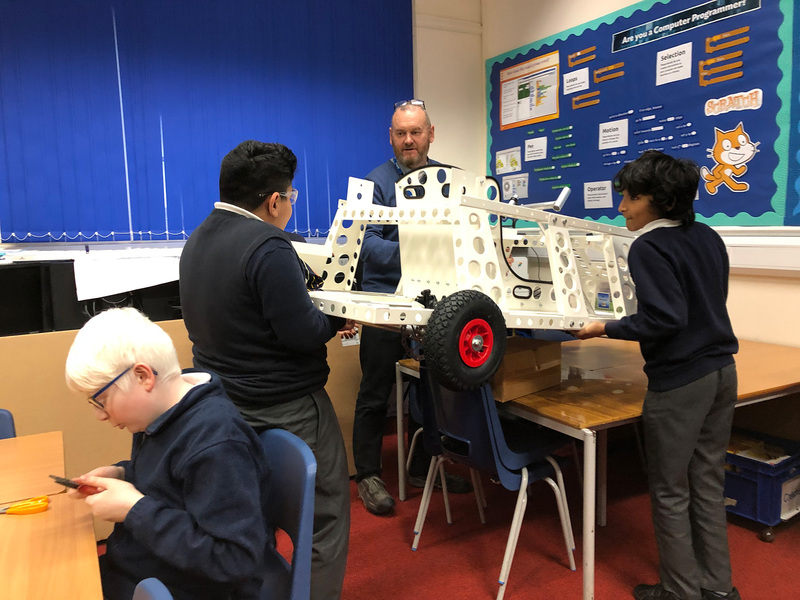 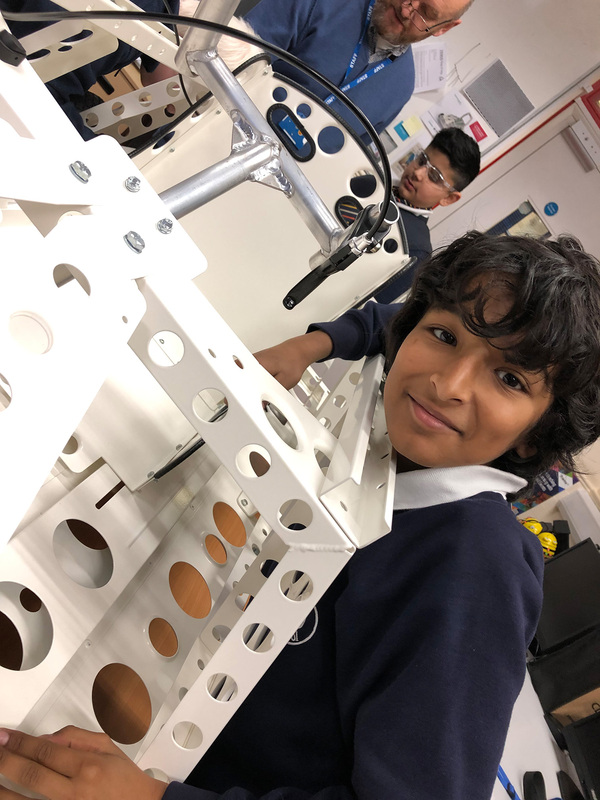 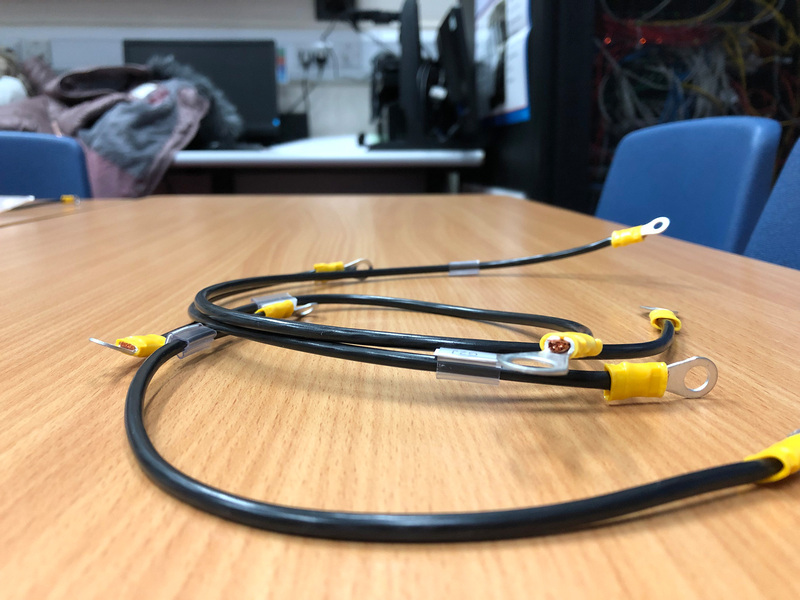 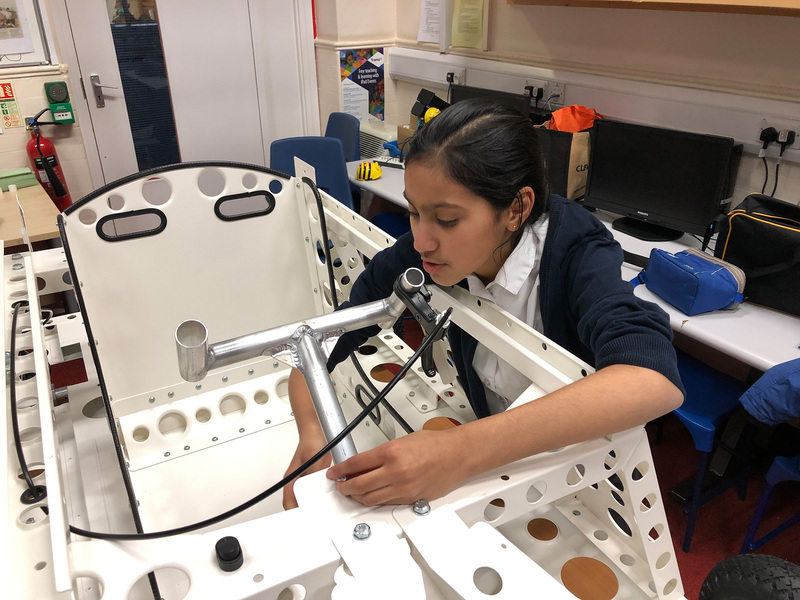 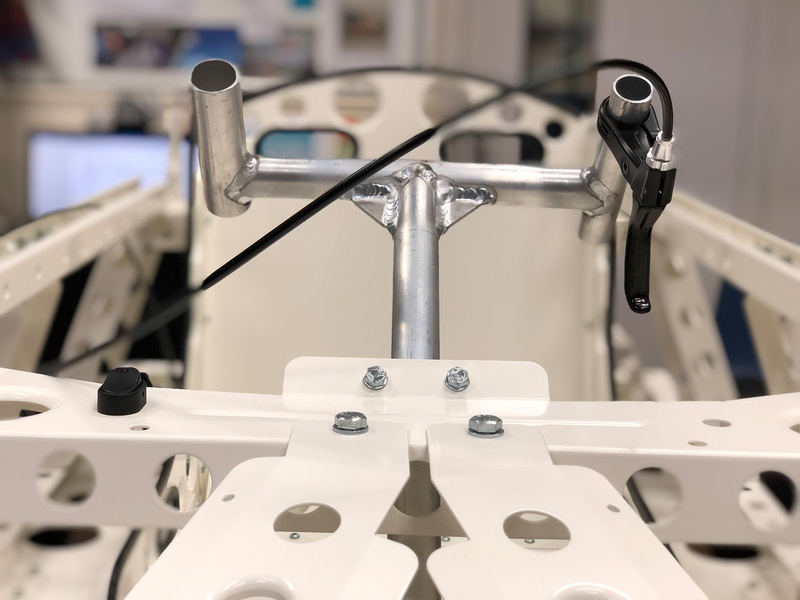 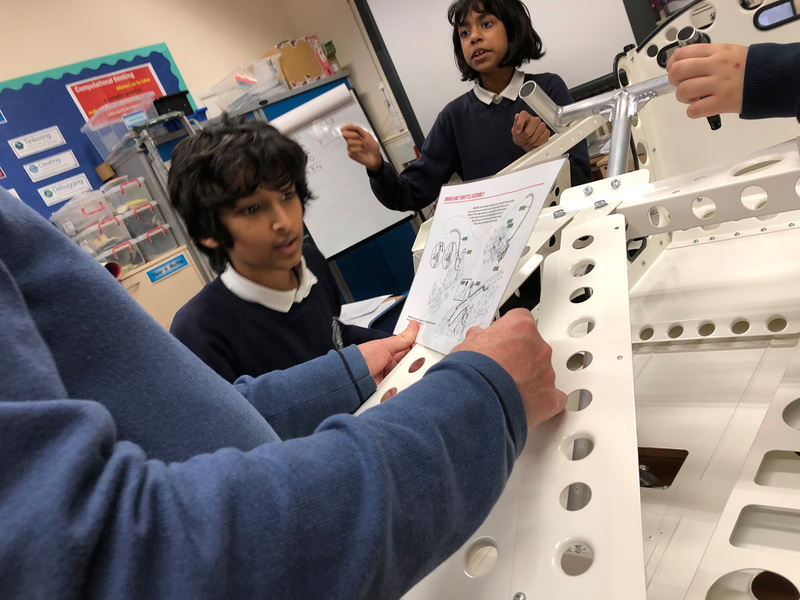 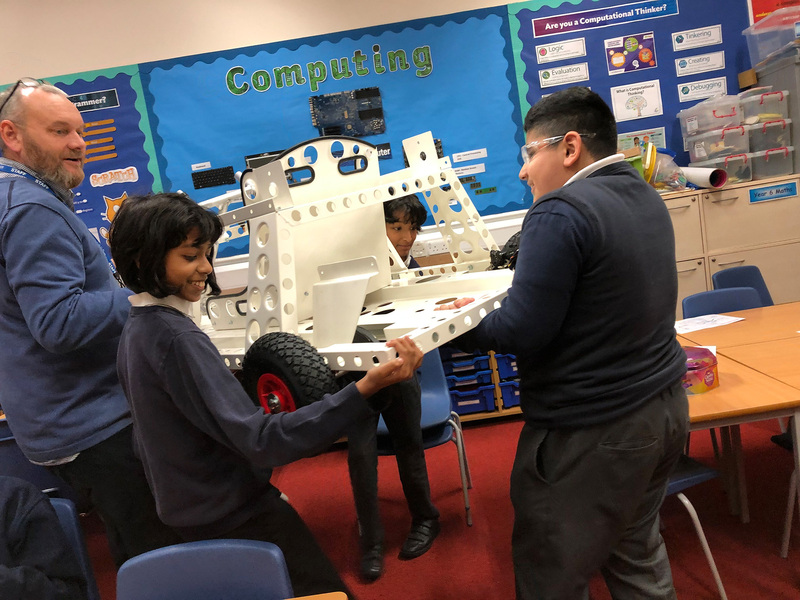 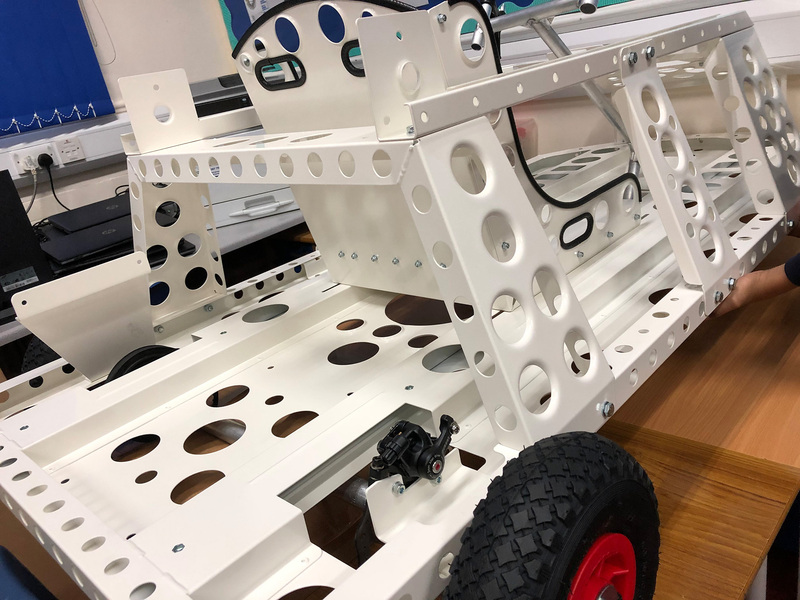 The children have also been assembling the motor cage and wiring up all the electrical components needed to make the car work. 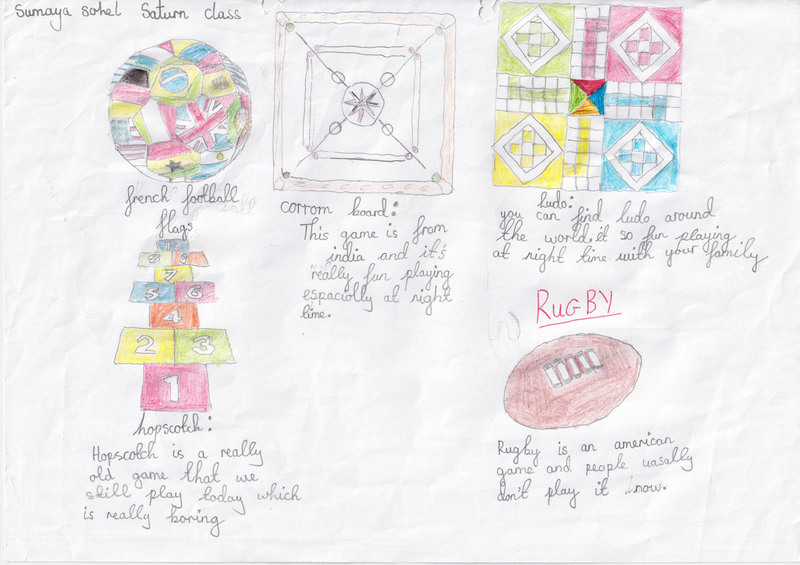 Thanks to Safa for the wonderful photographs. 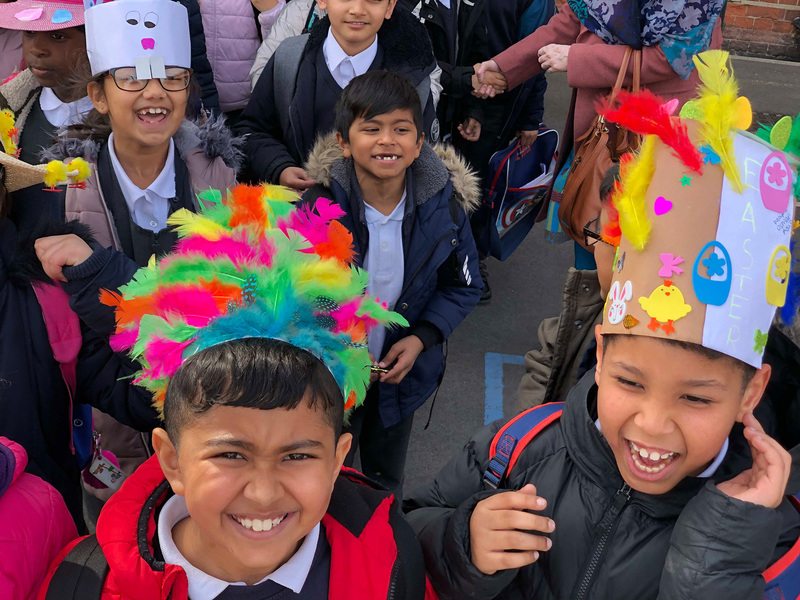 This year we enjoyed our best Christmas service yet, with wonderful performances by our new choir led by Mrs Wild, a beautiful nativity and a fantastic traditional Romanian celebration of the winter festival.